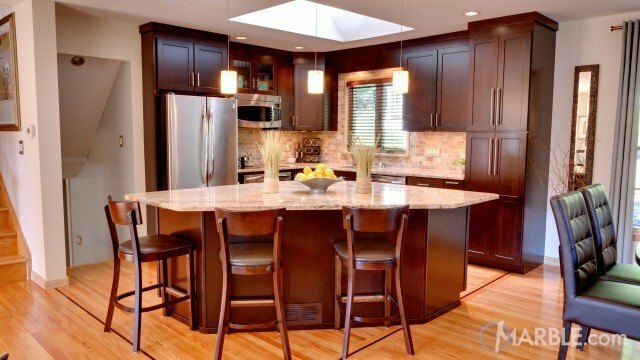 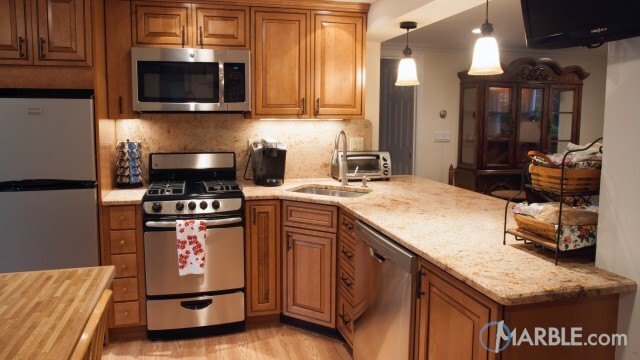 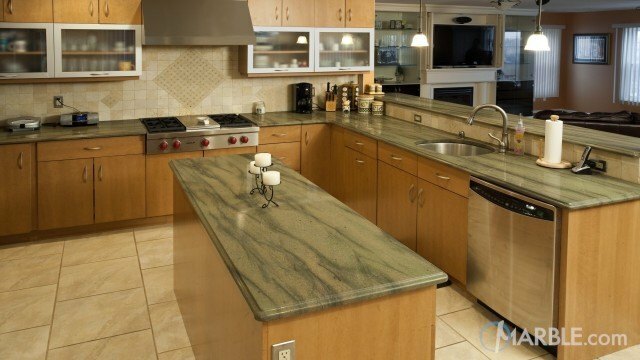 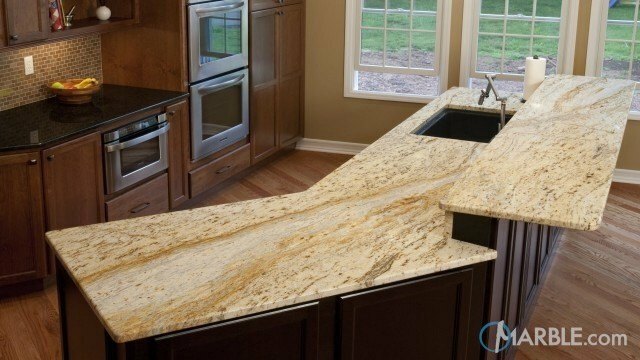 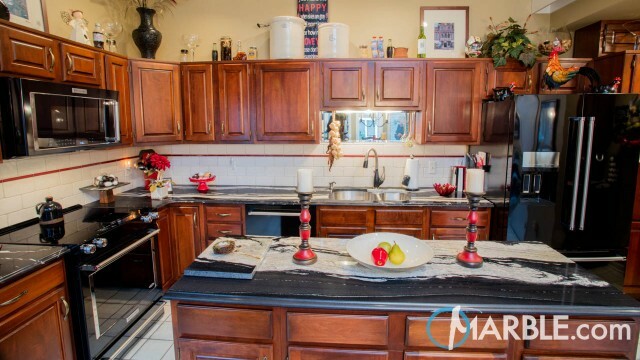 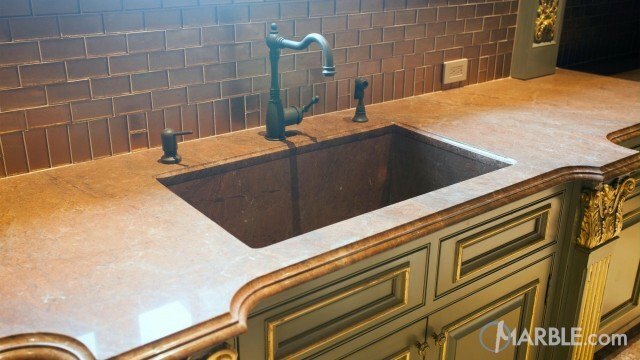 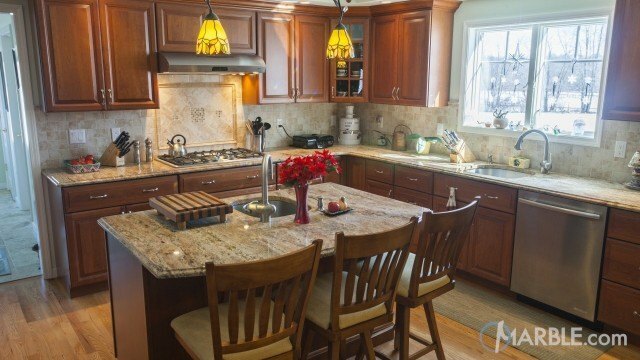 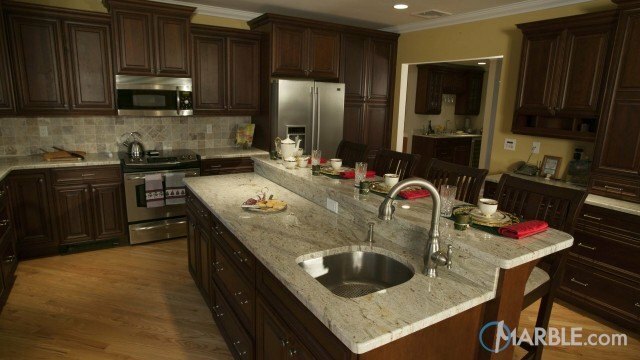 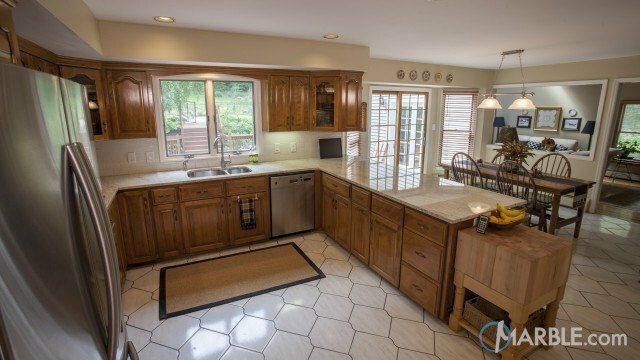 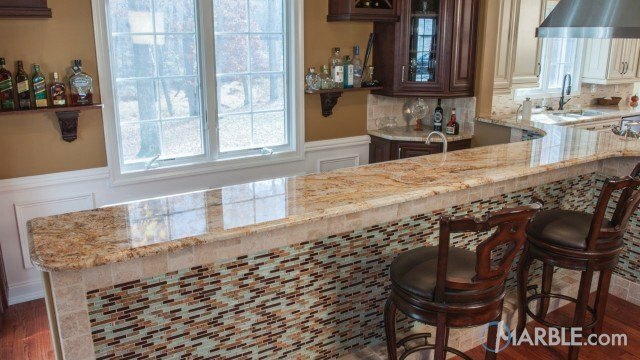 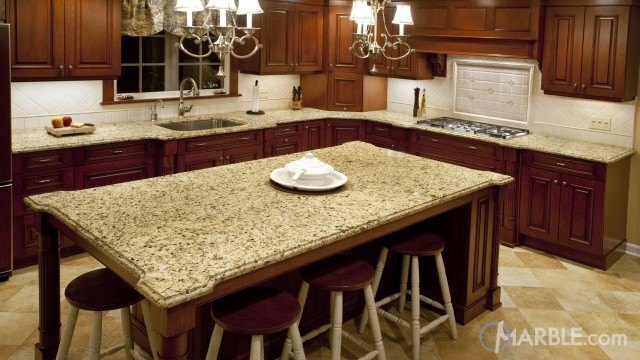 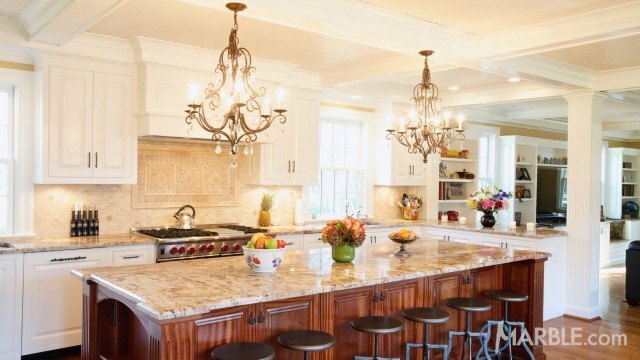 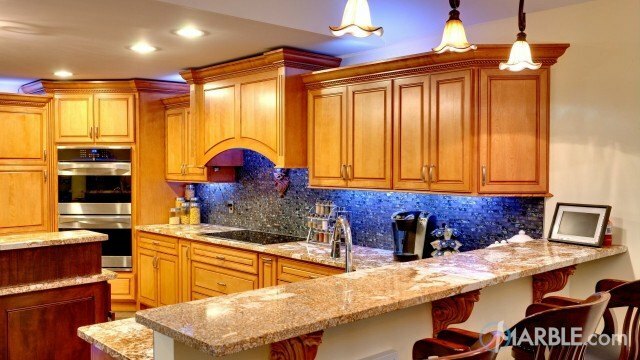 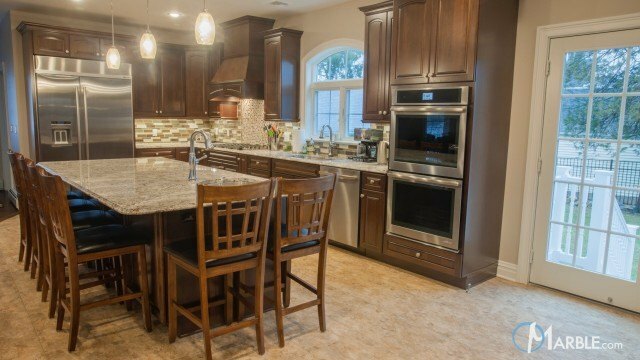 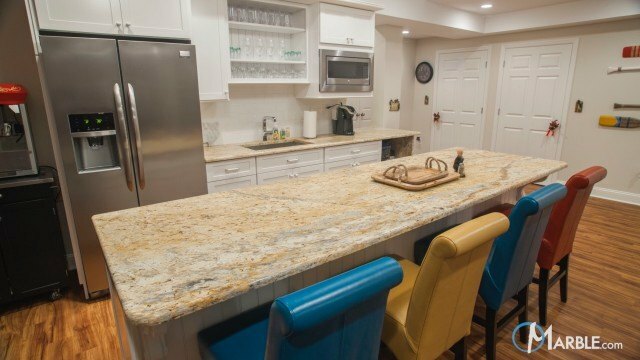 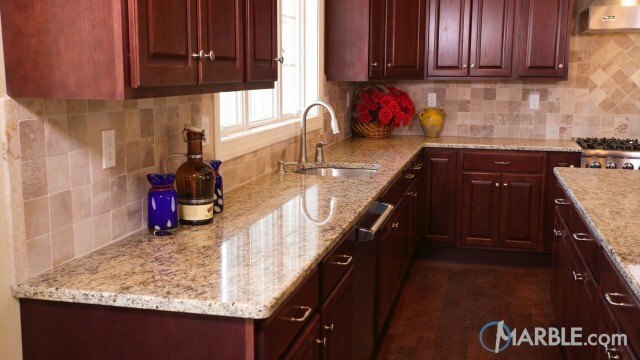 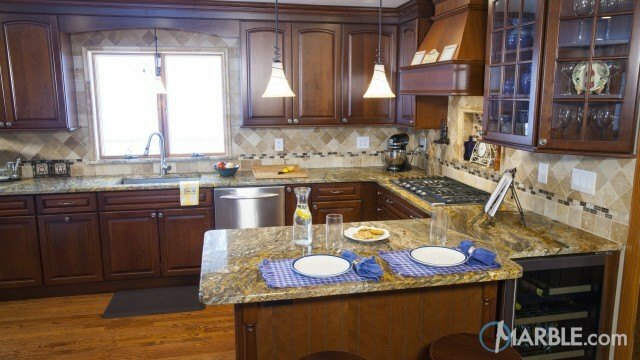 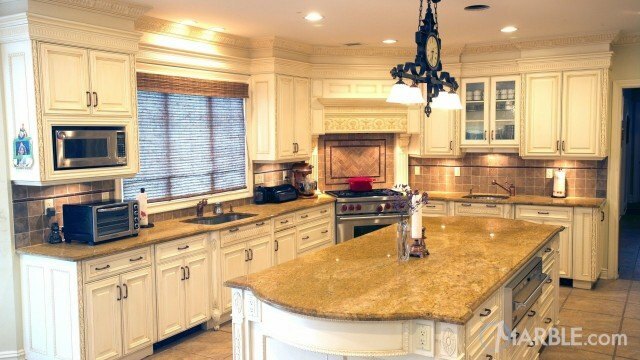 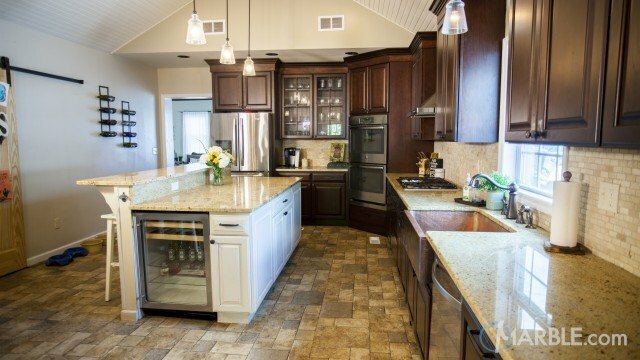 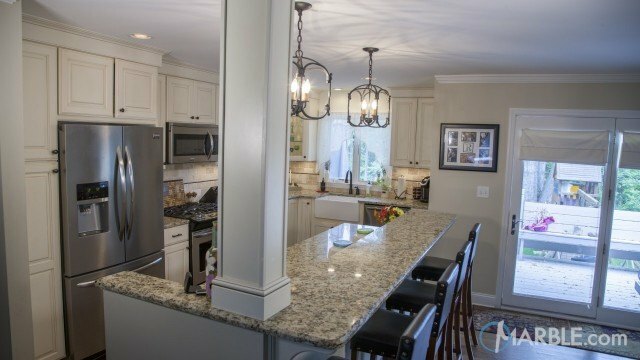 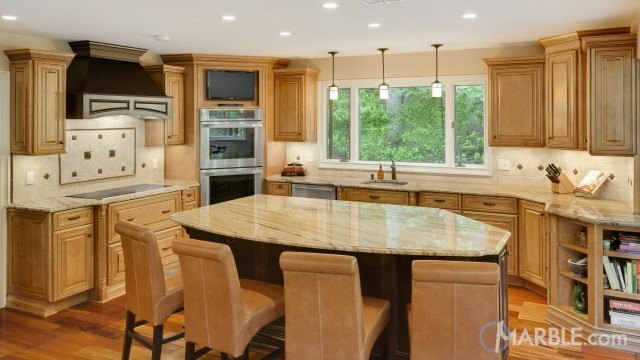 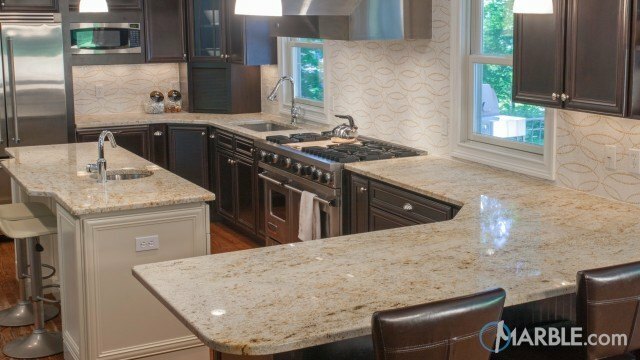 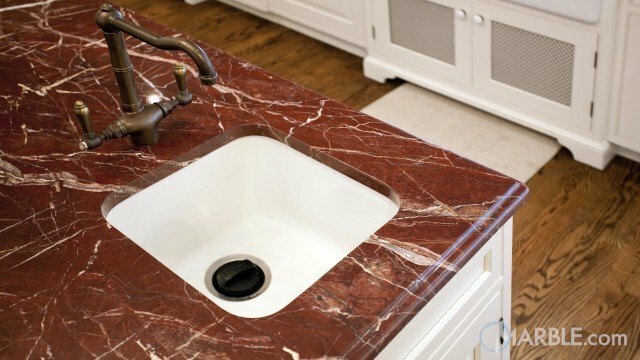 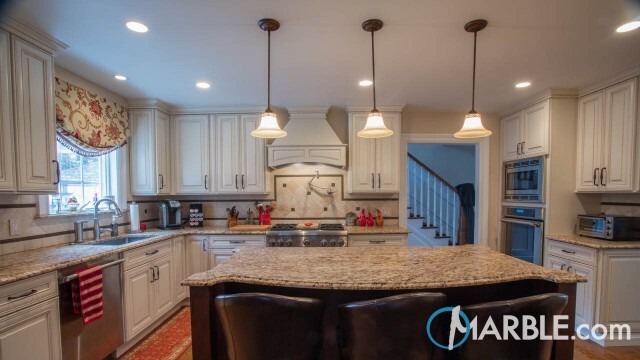 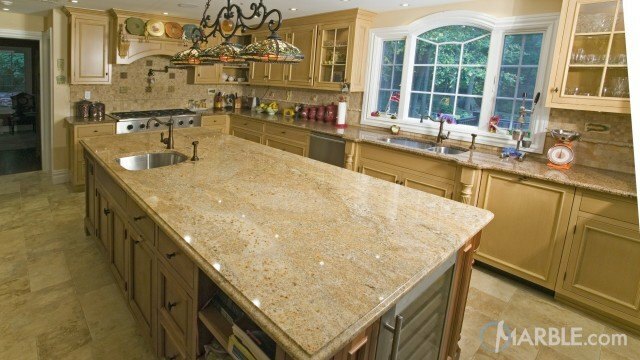 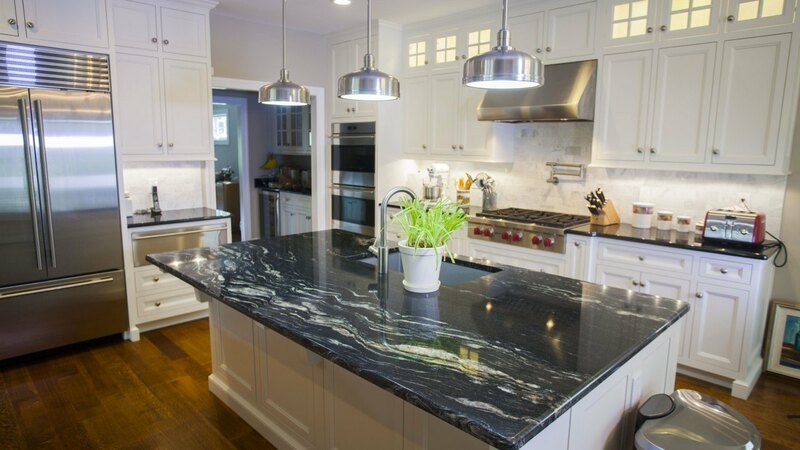 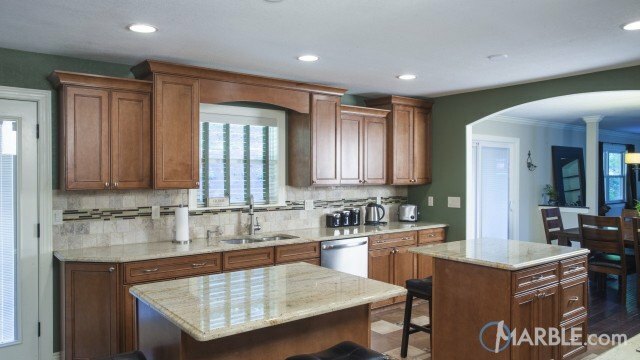 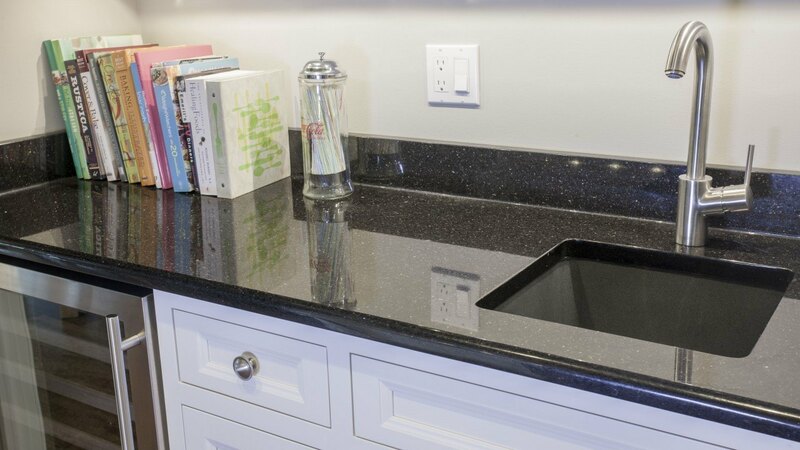 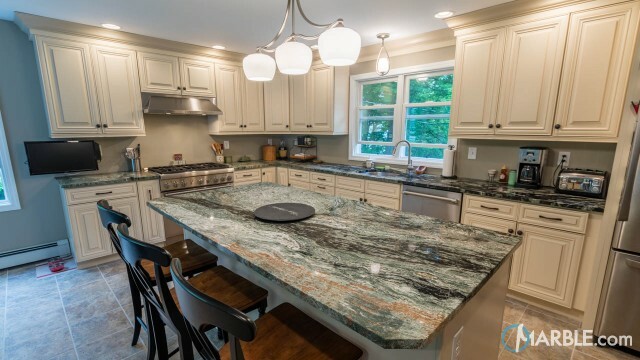 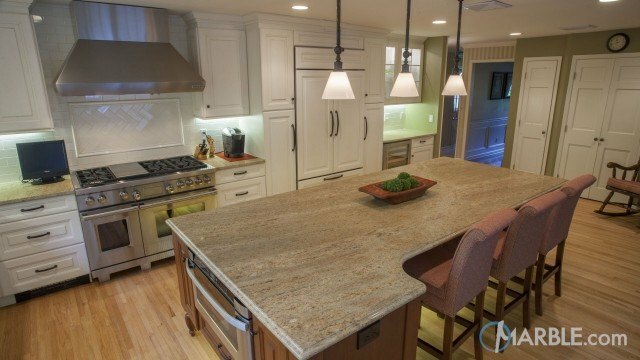 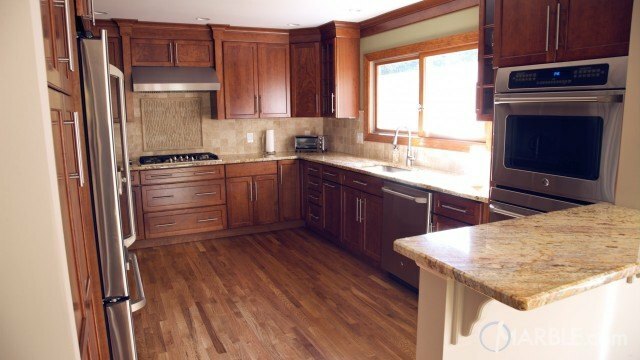 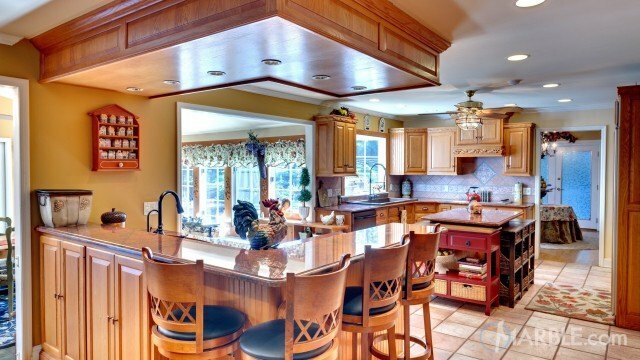 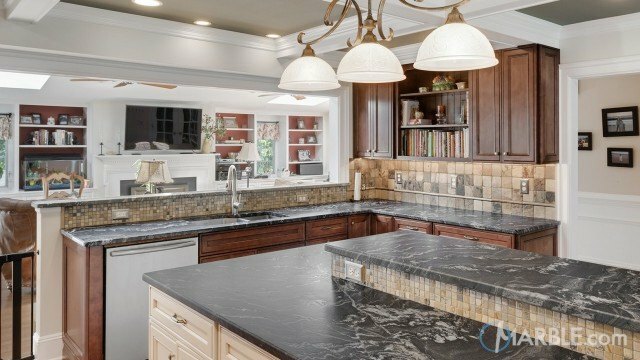 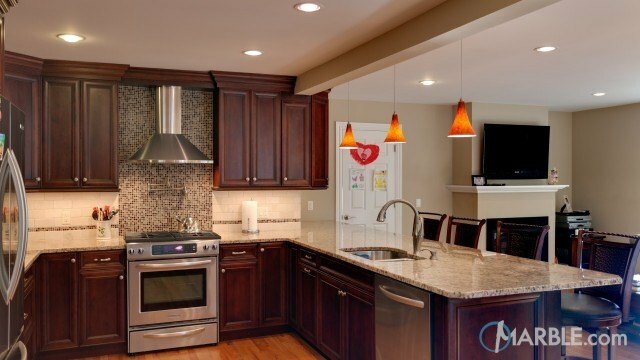 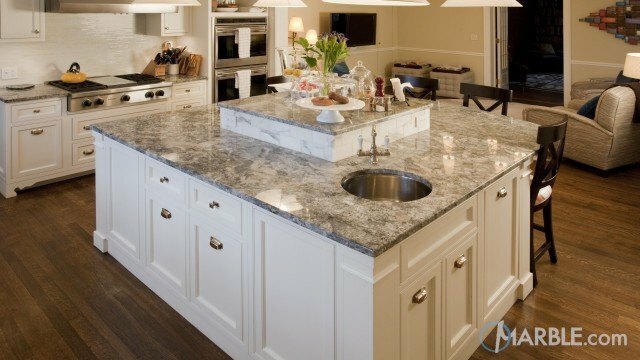 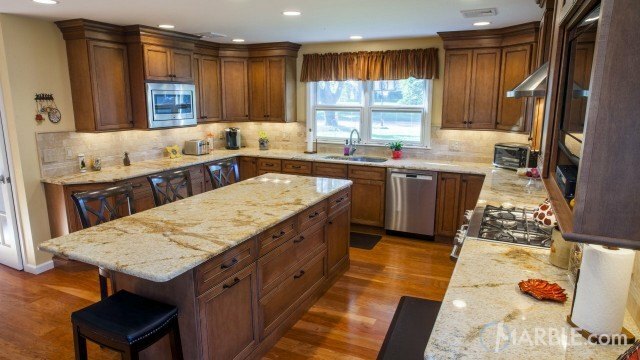 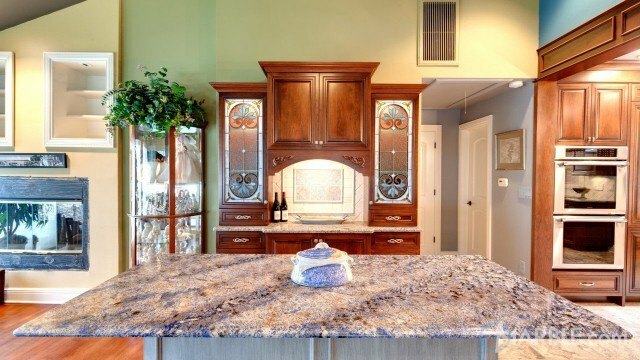 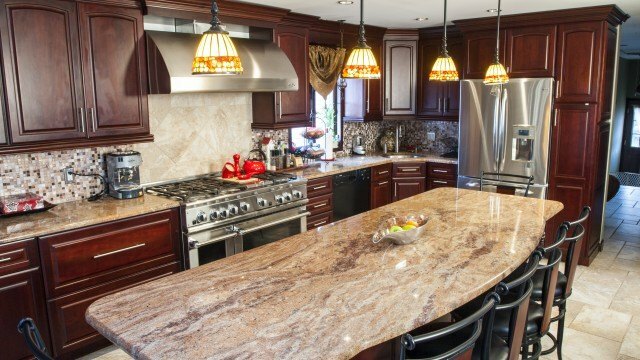 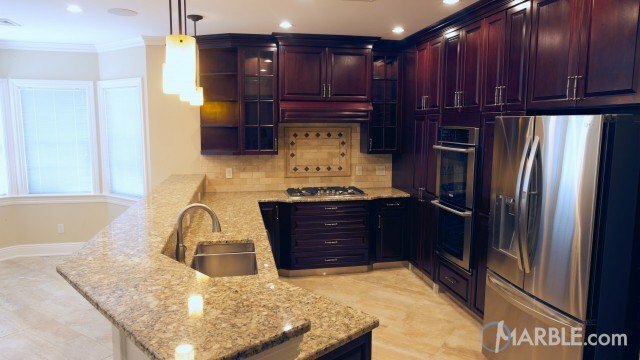 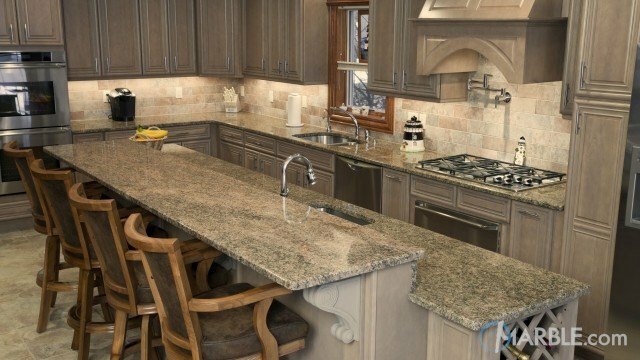 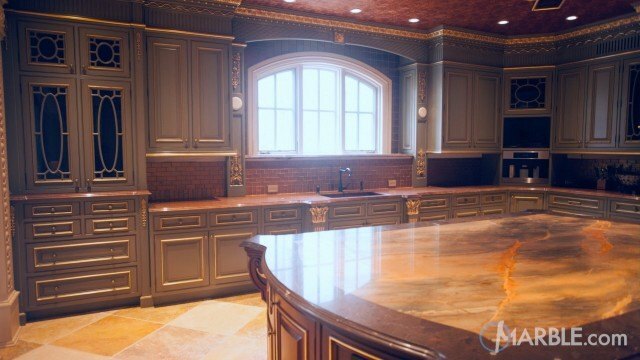 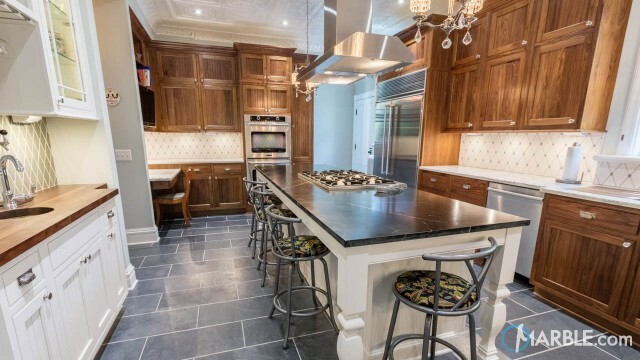 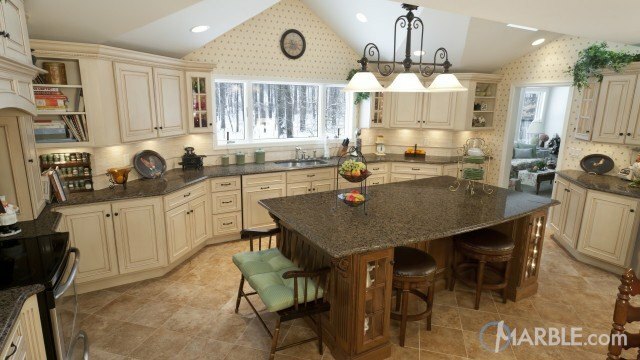 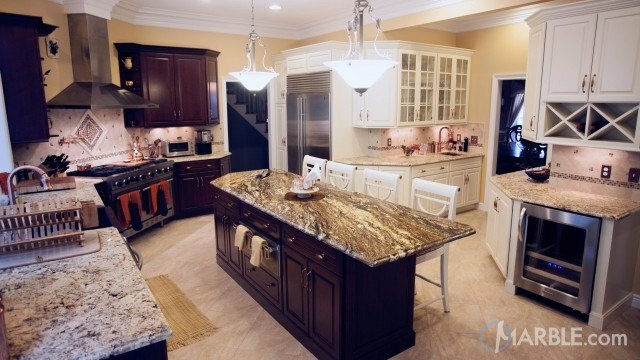 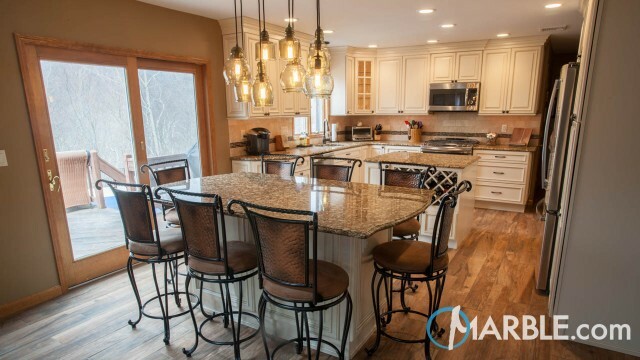 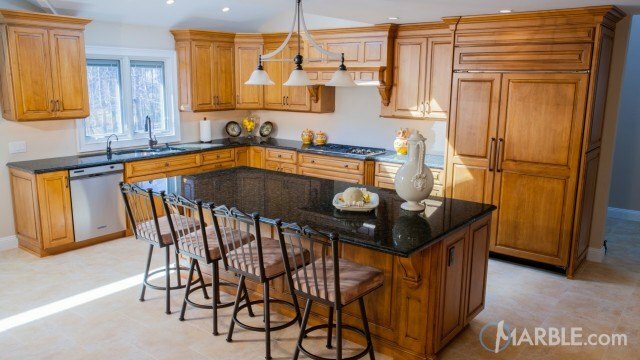 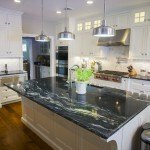 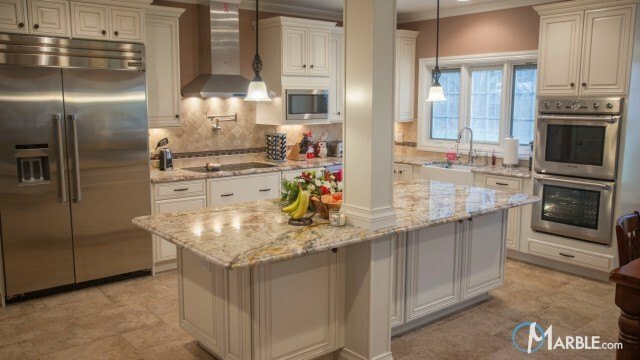 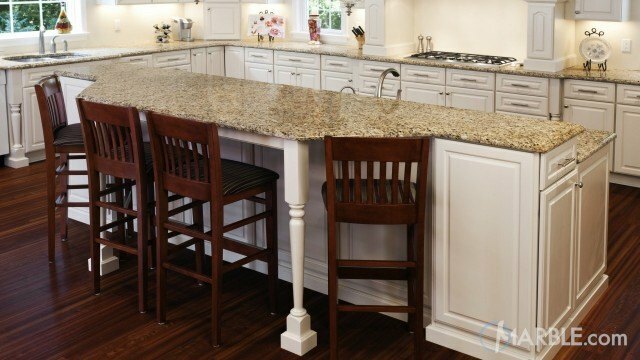 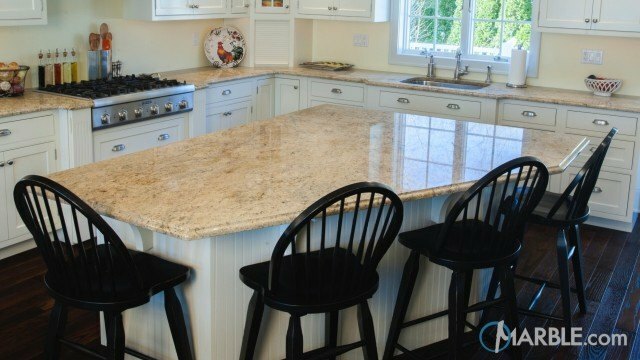 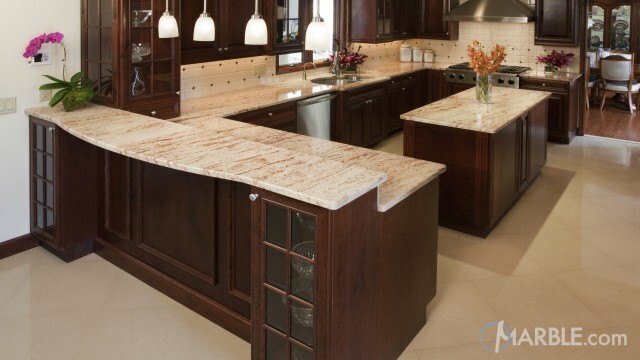 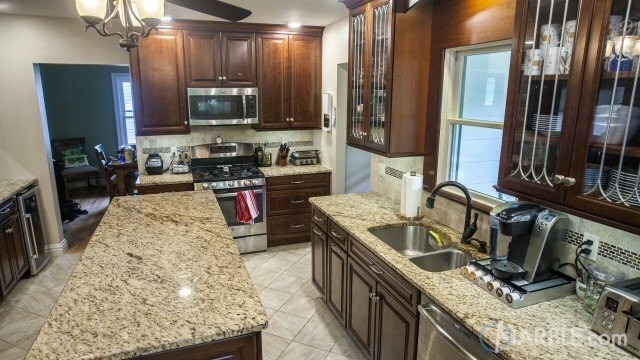 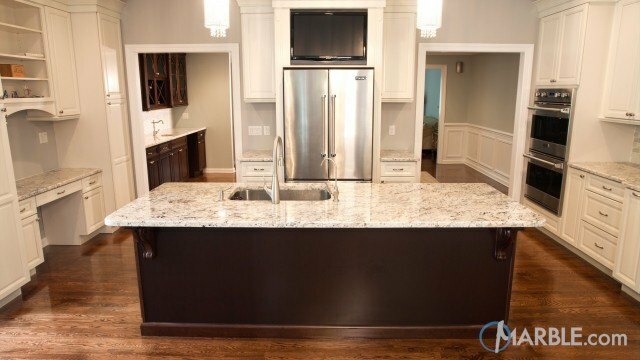 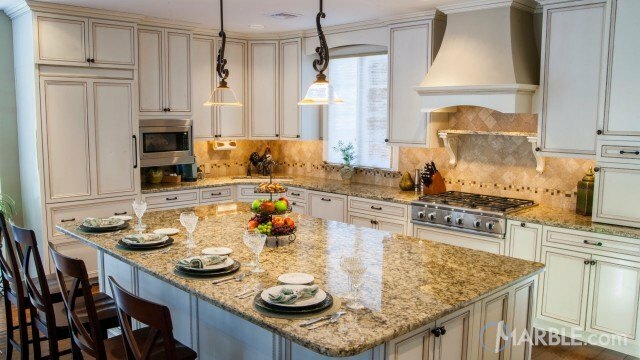 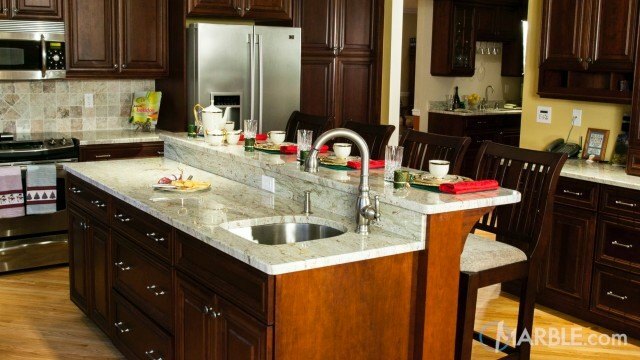 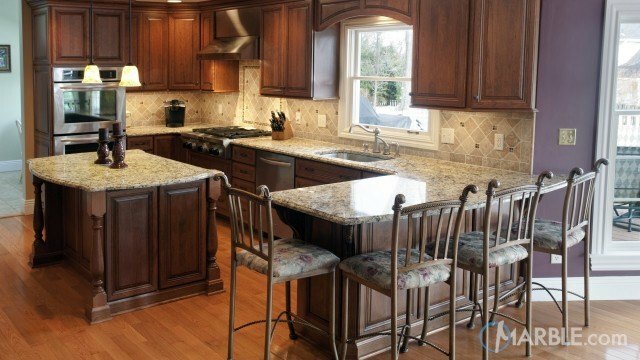 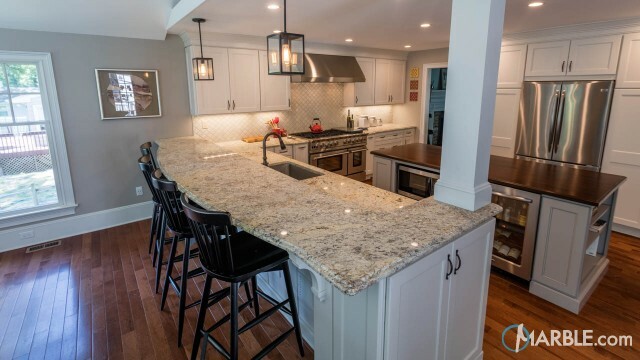 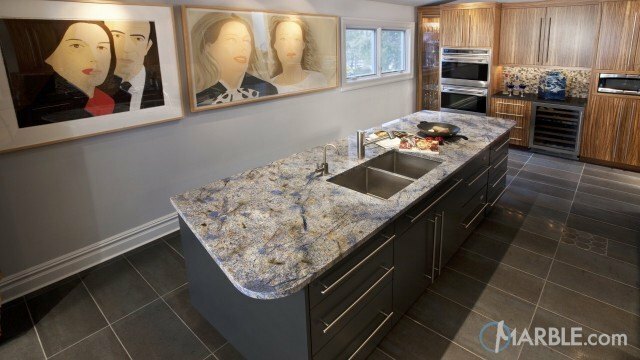 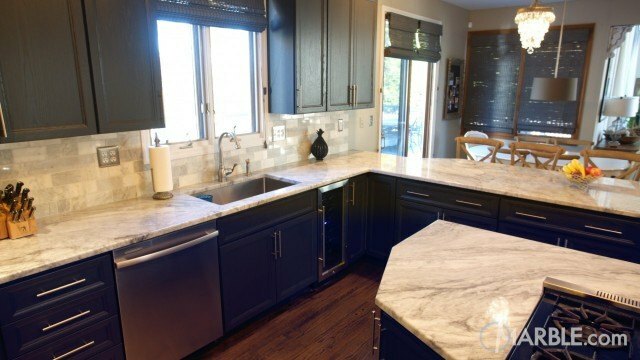 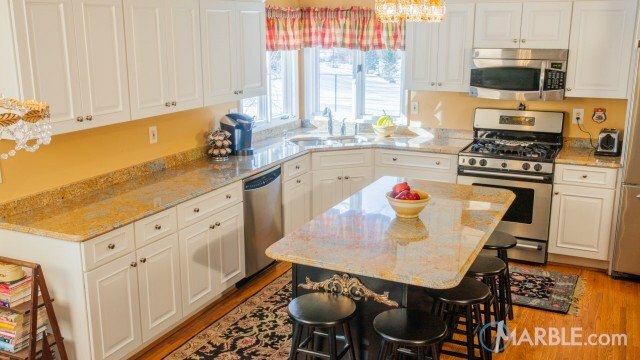 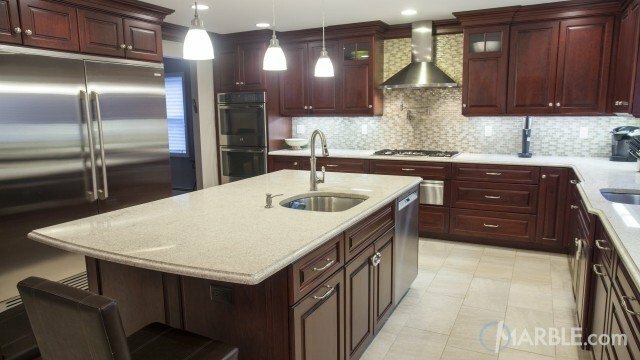 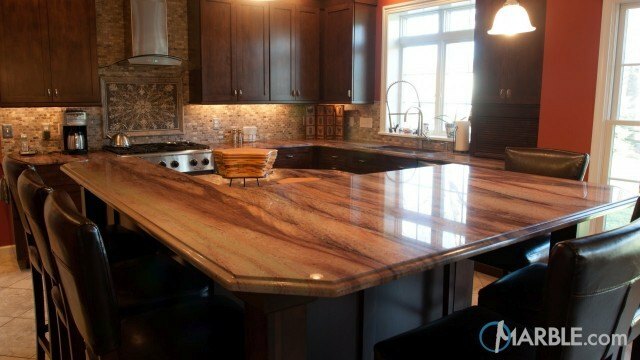 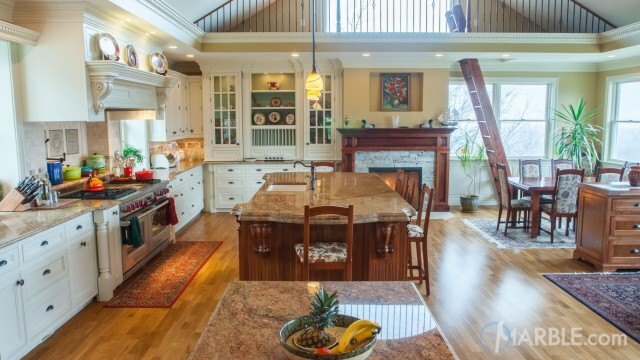 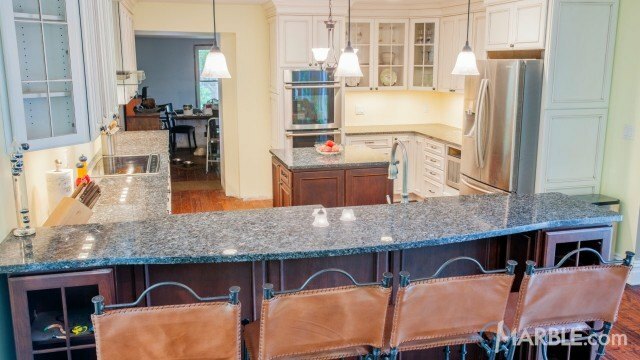 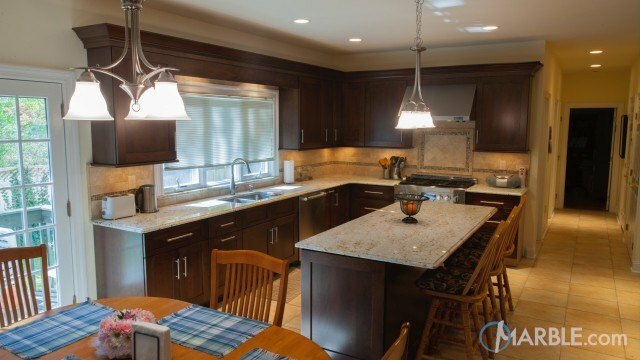 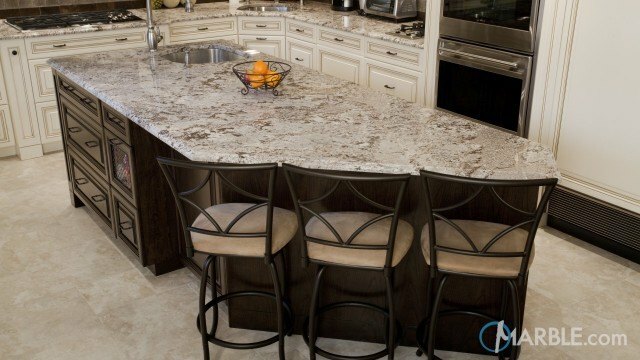 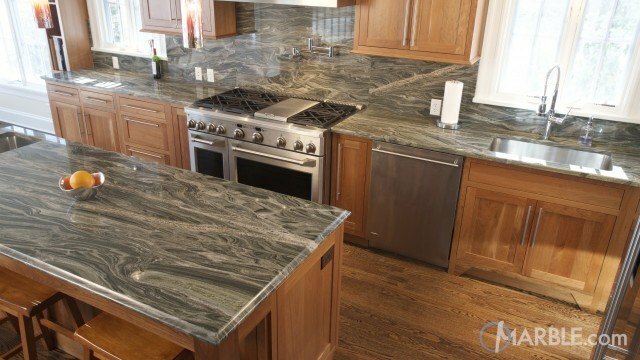 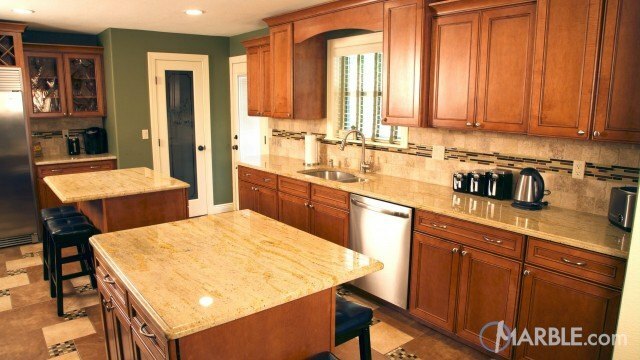 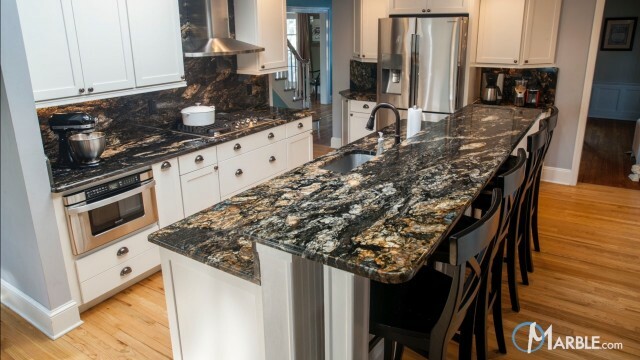 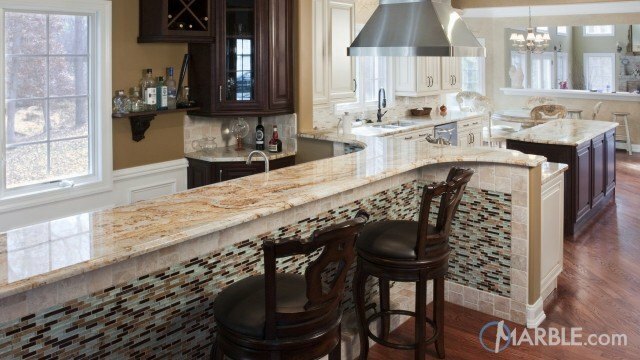 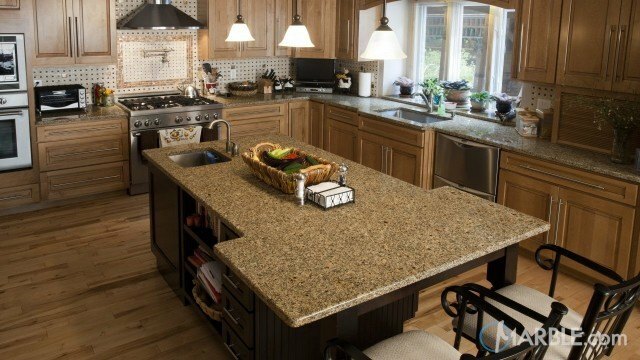 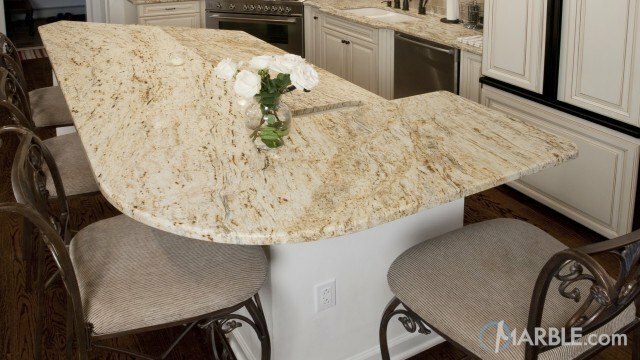 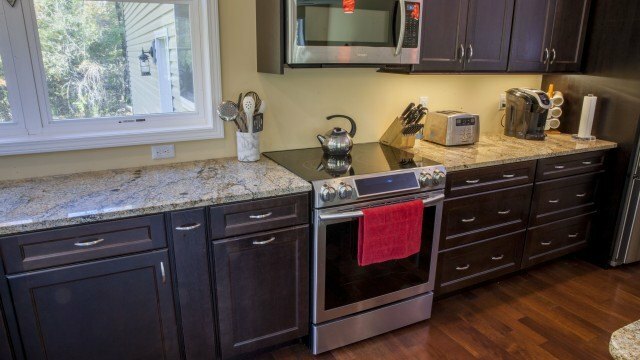 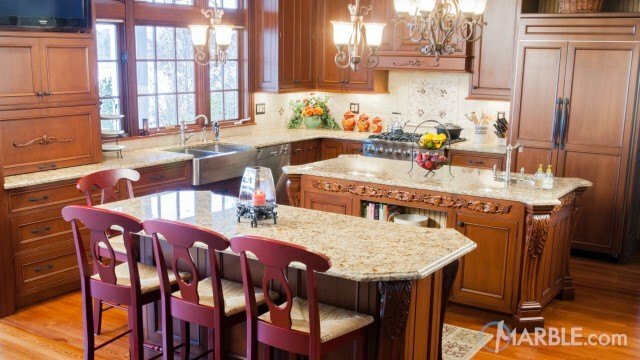 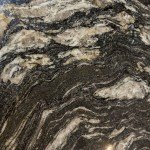 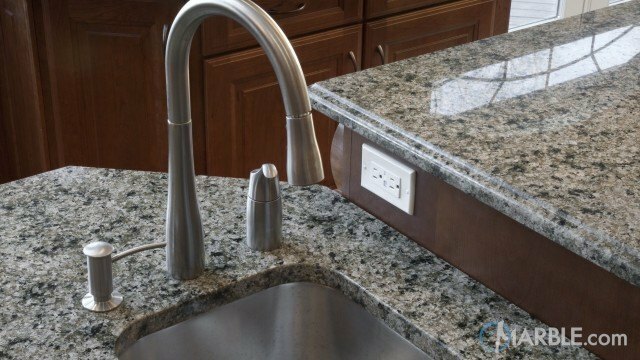 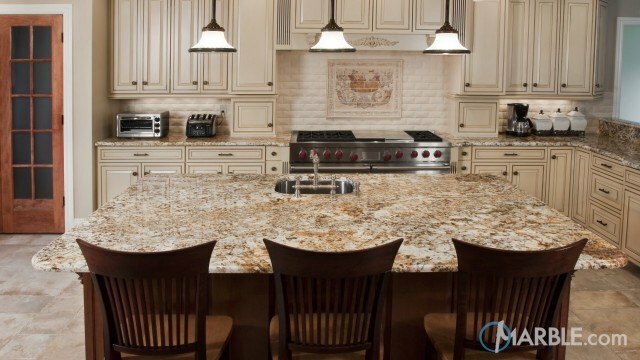 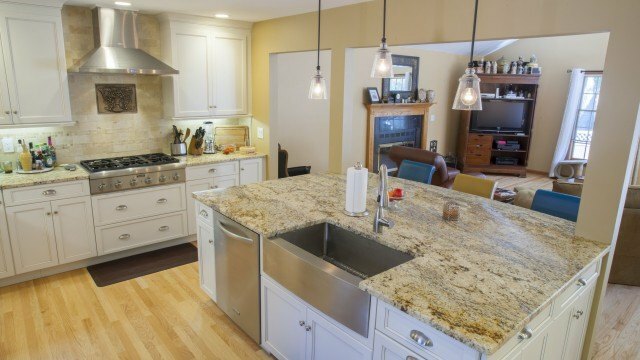 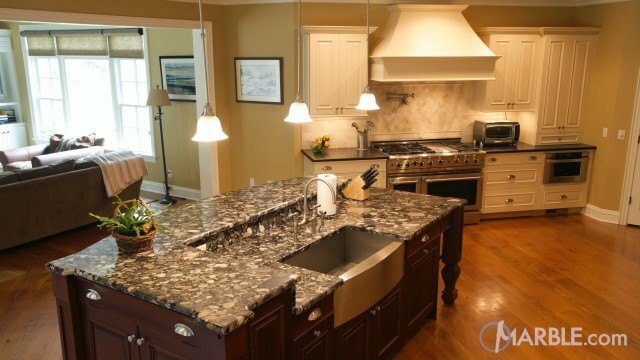 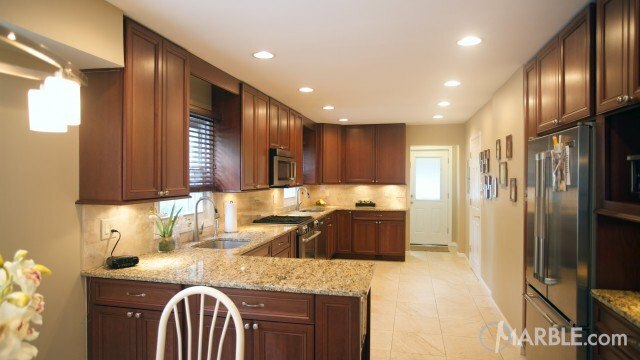 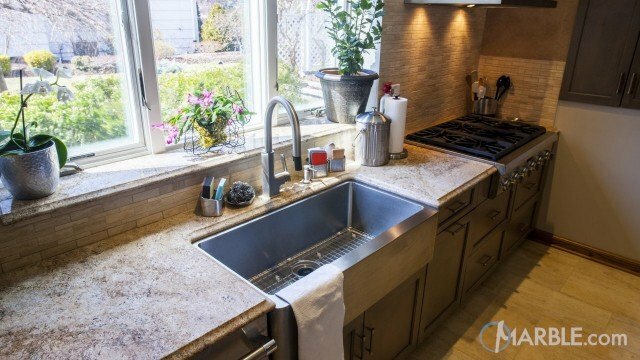 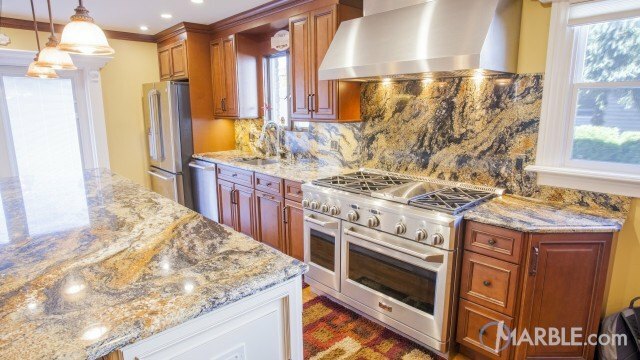 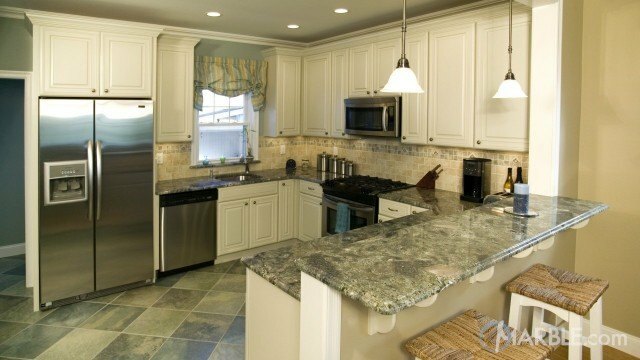 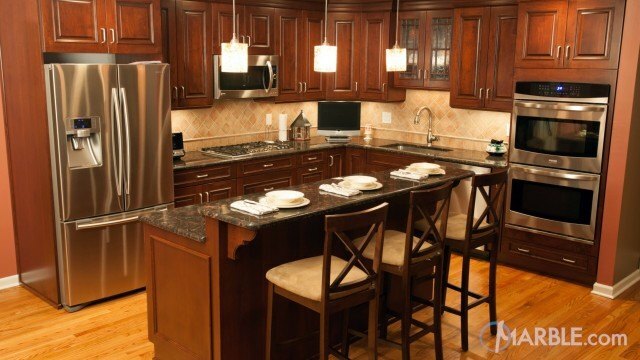 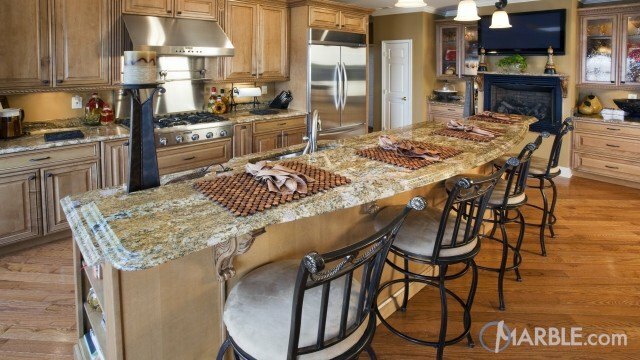 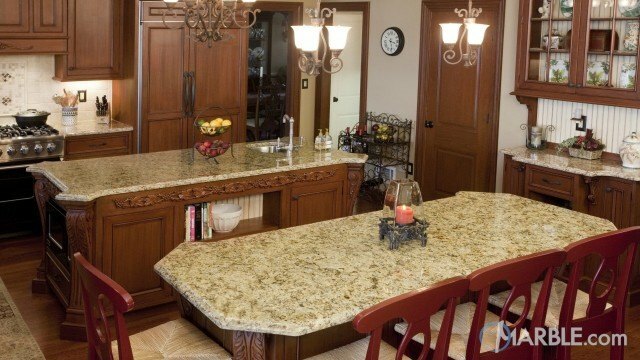 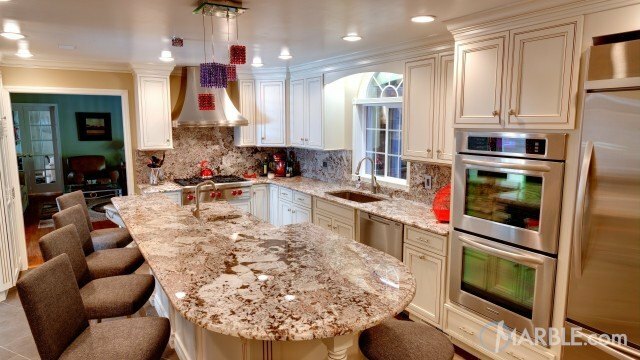 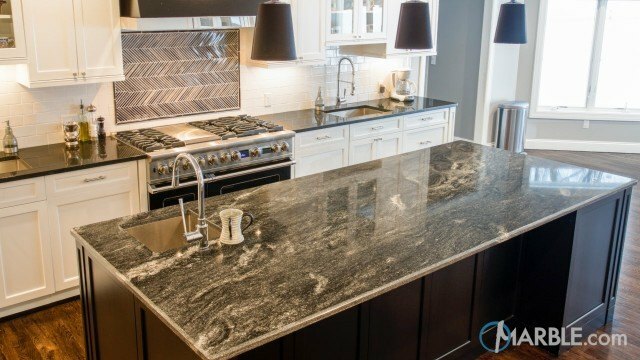 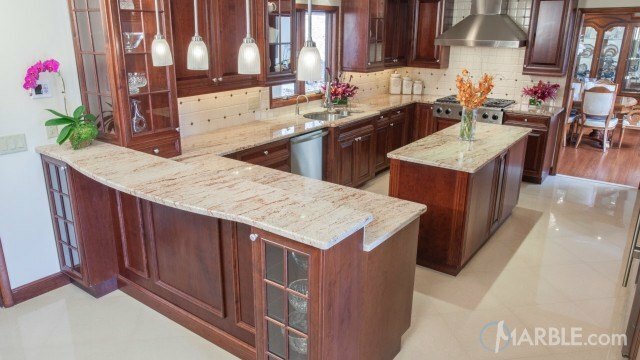 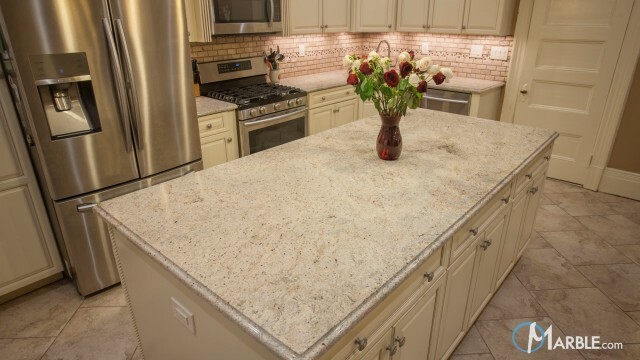 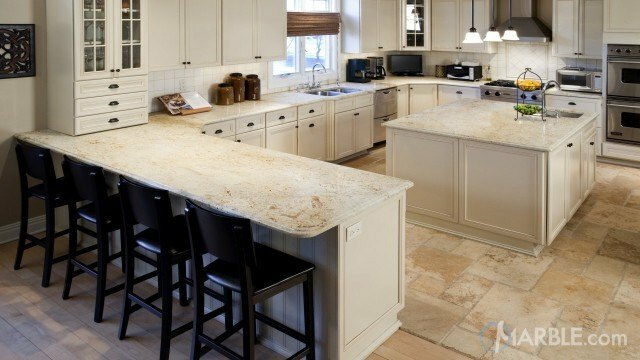 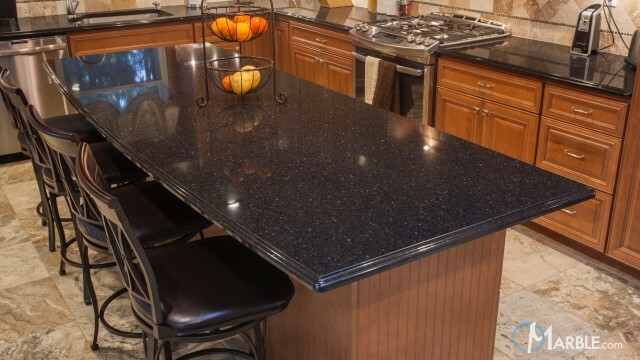 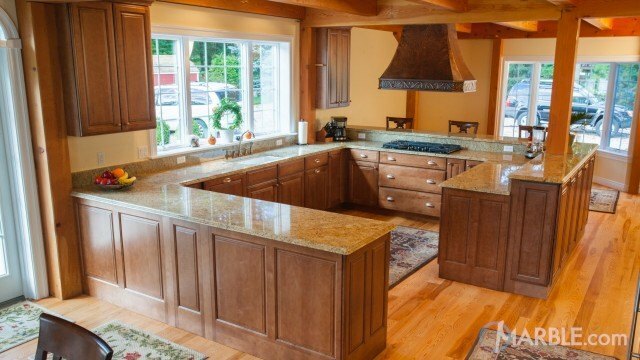 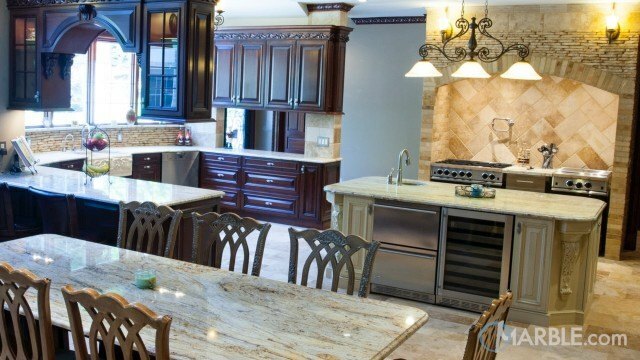 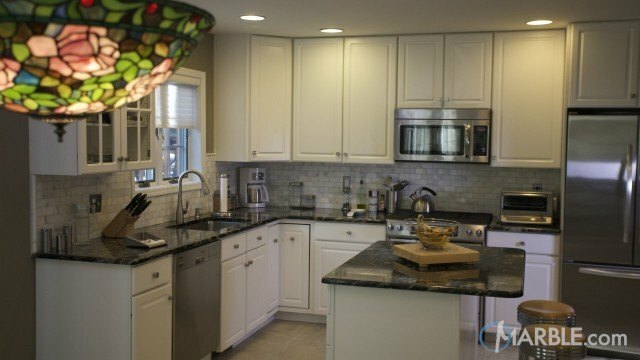 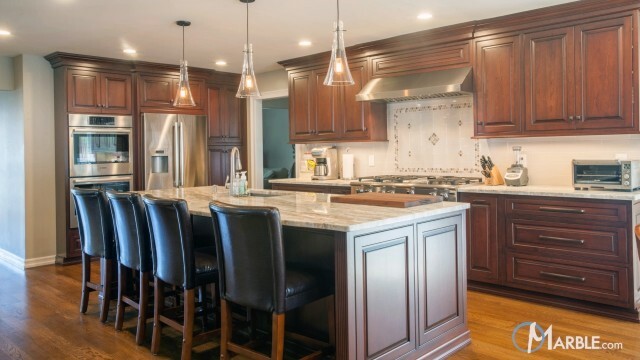 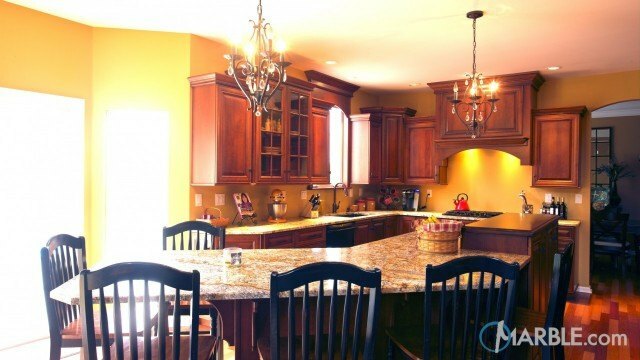 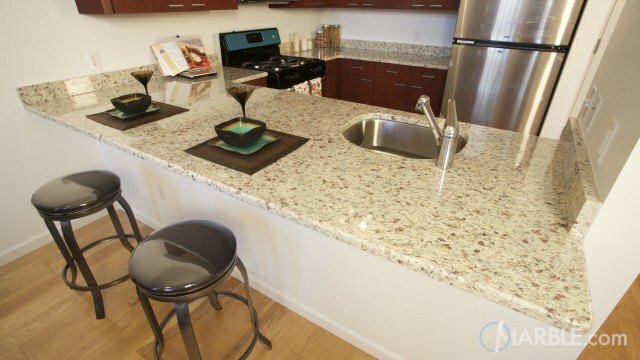 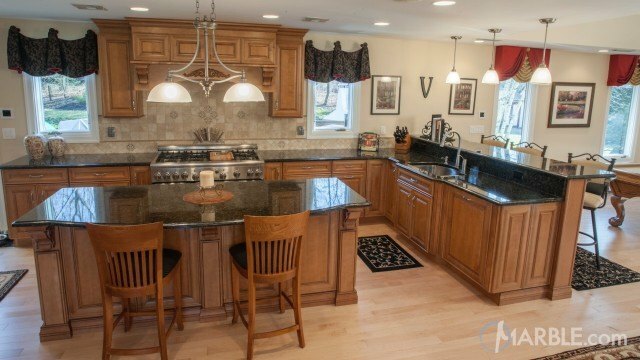 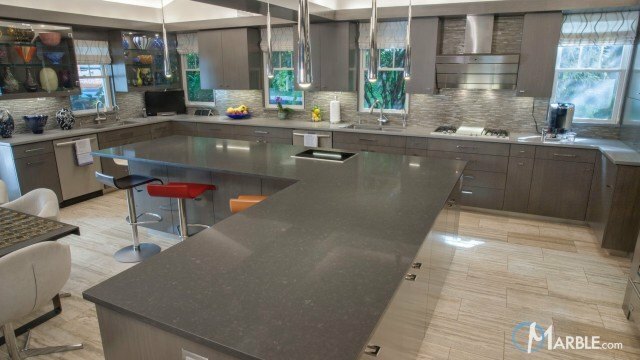 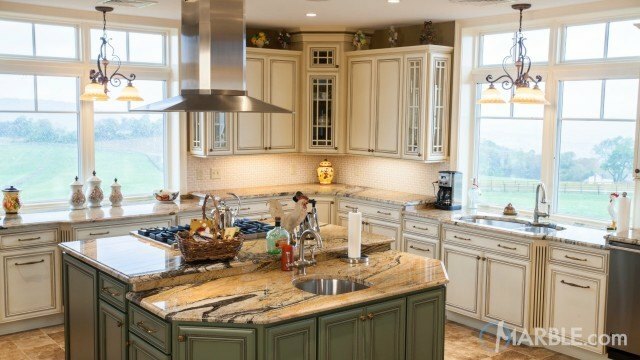 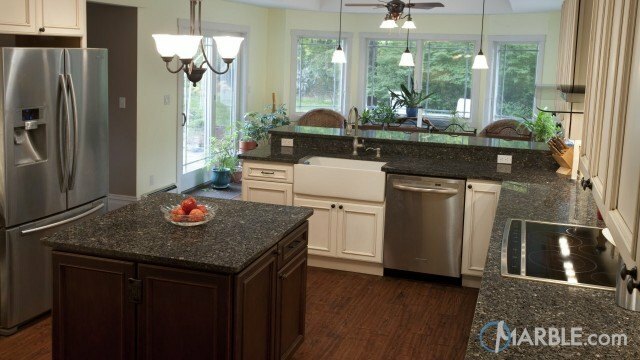 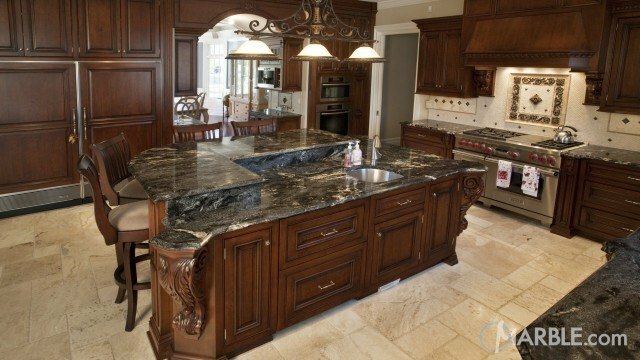 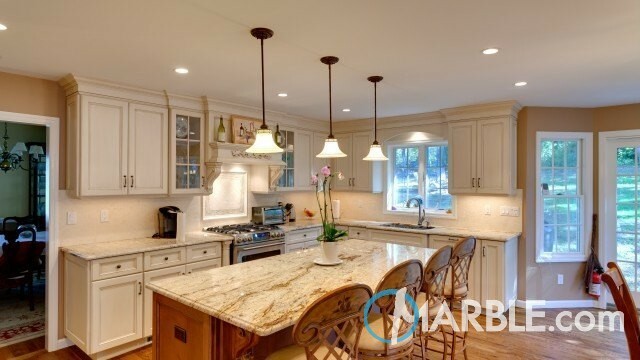 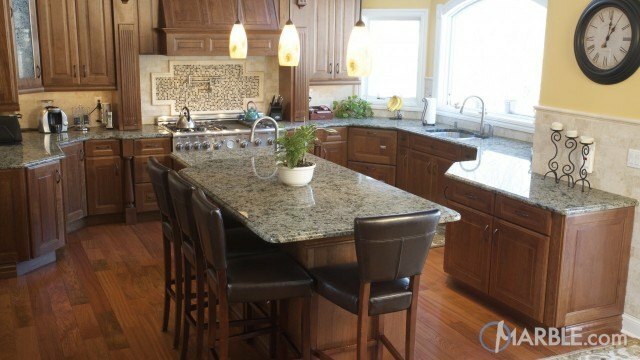 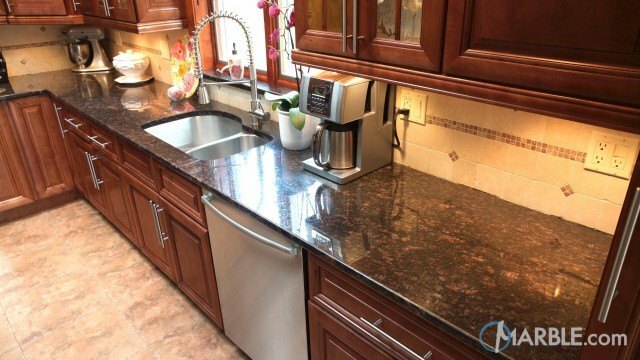 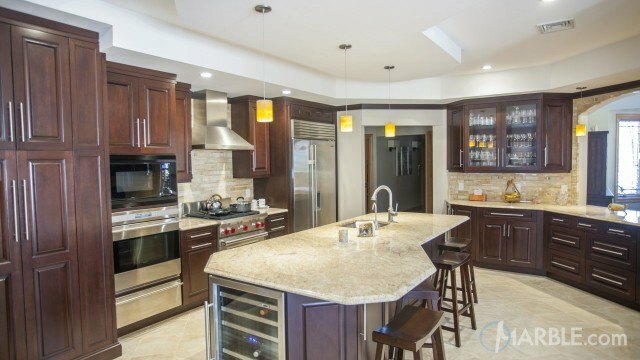 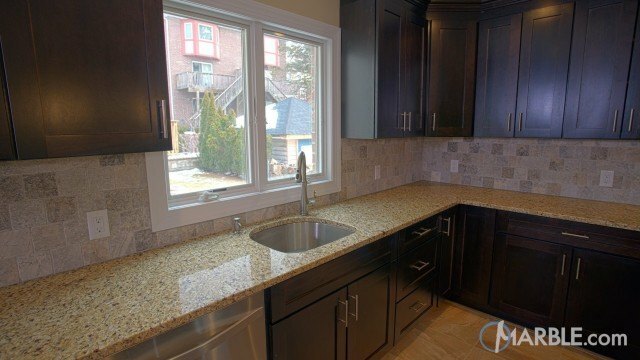 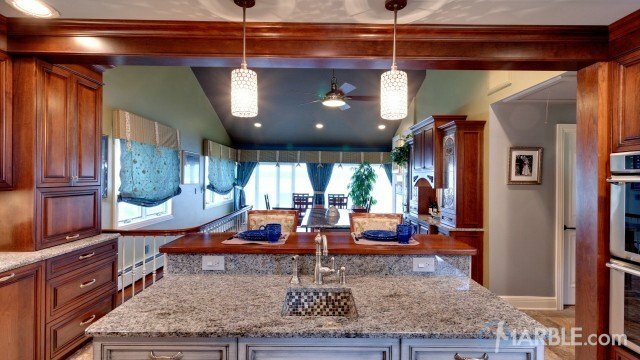 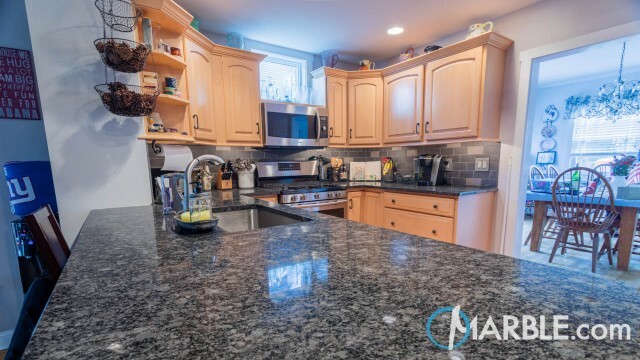 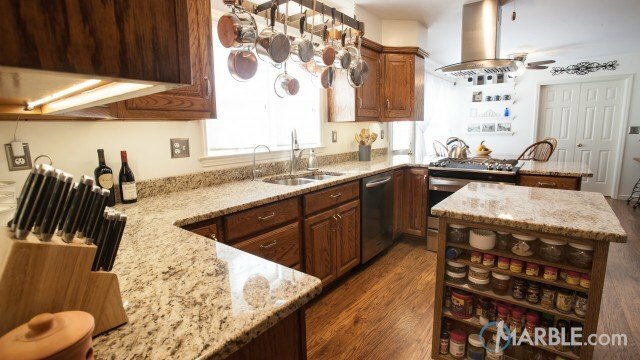 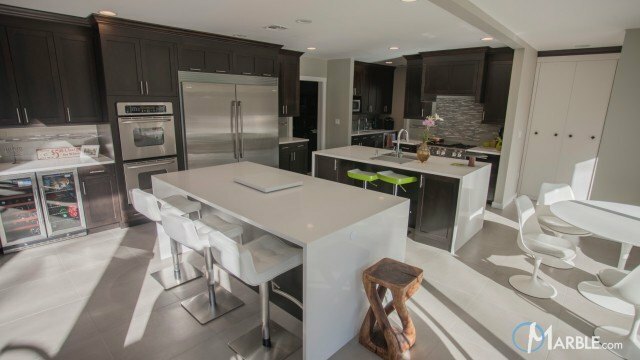 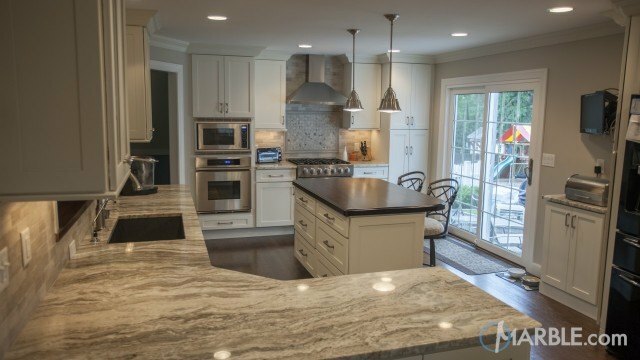 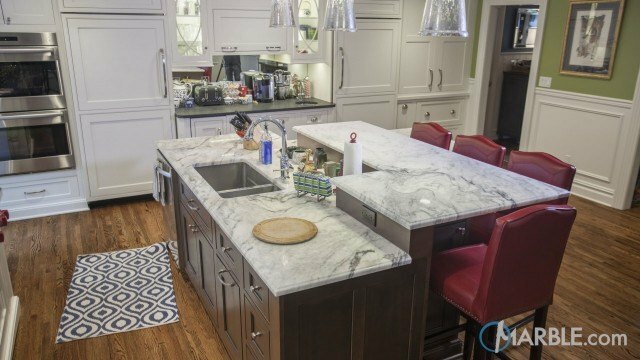 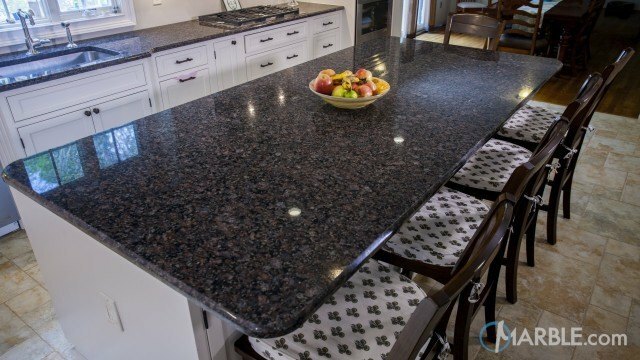 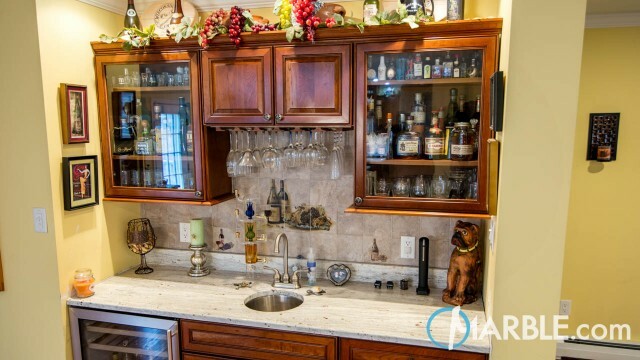 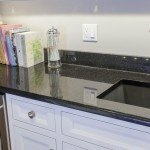 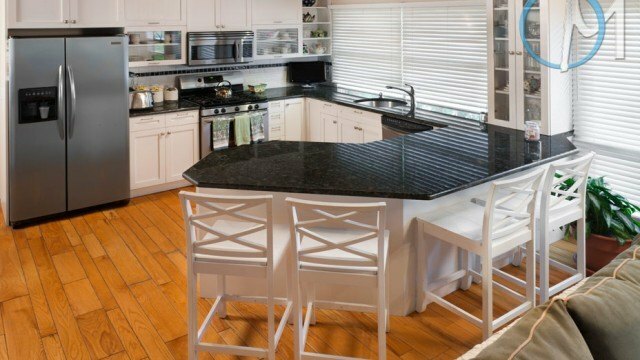 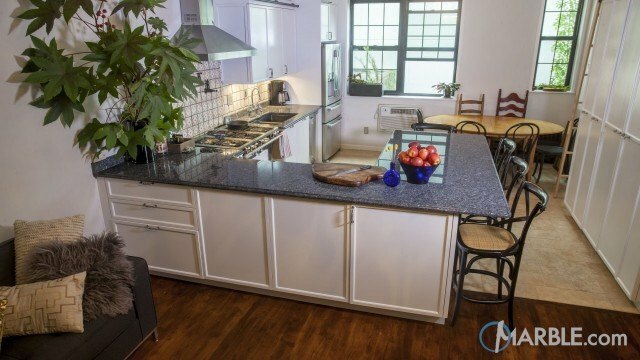 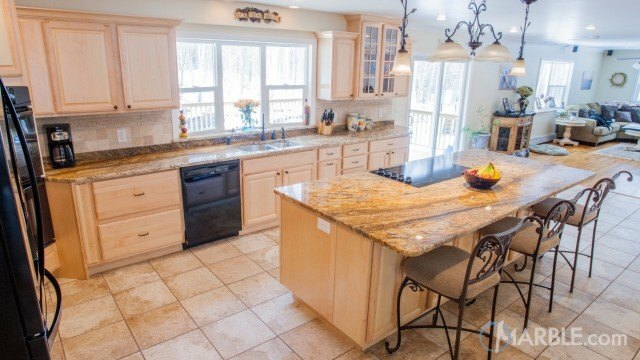 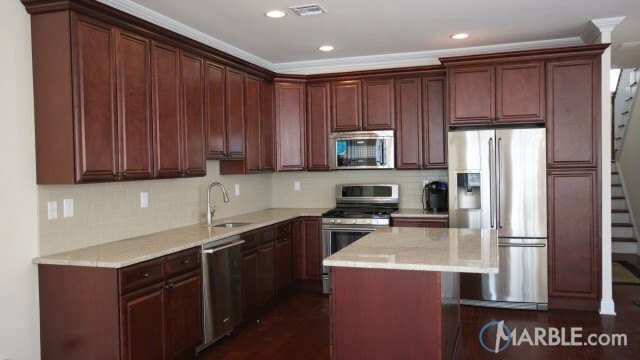 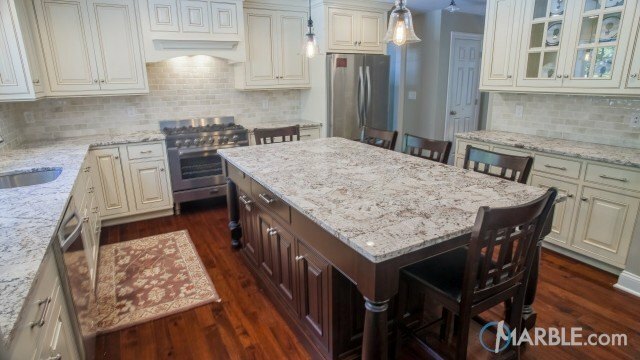 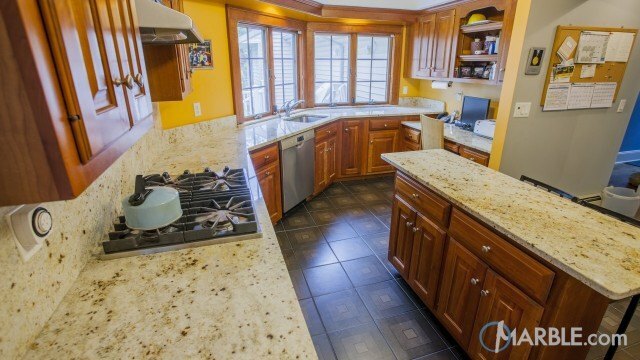 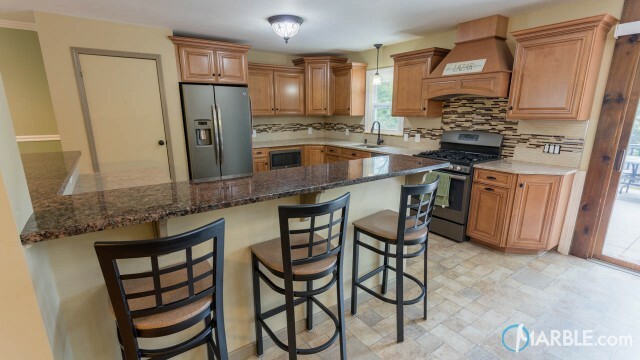 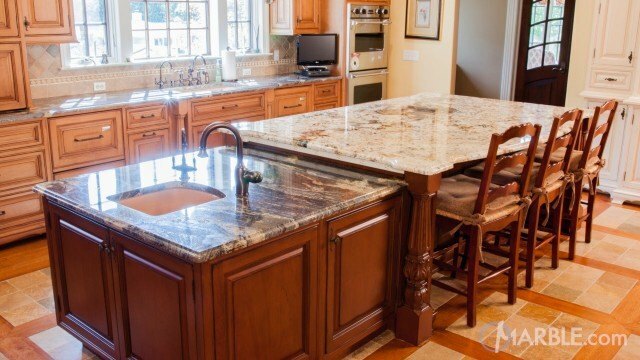 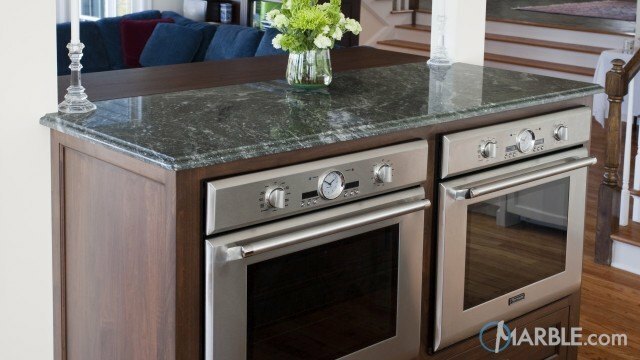 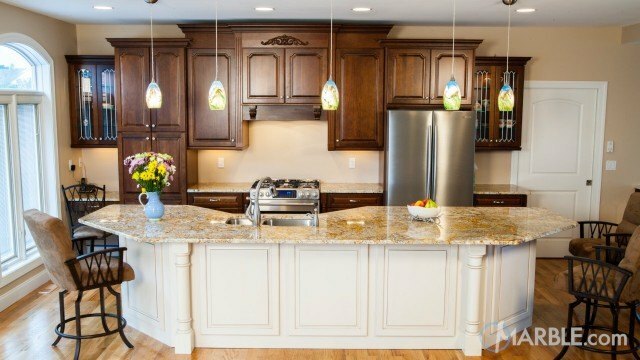 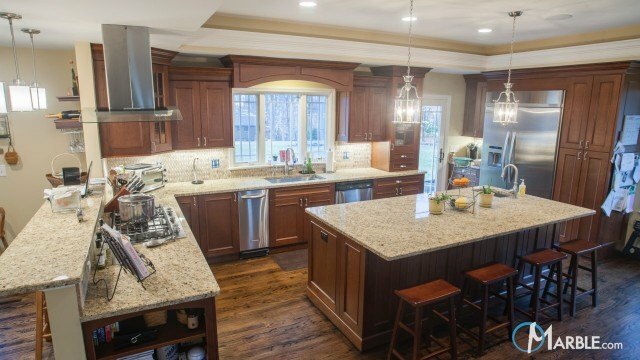 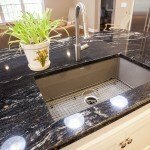 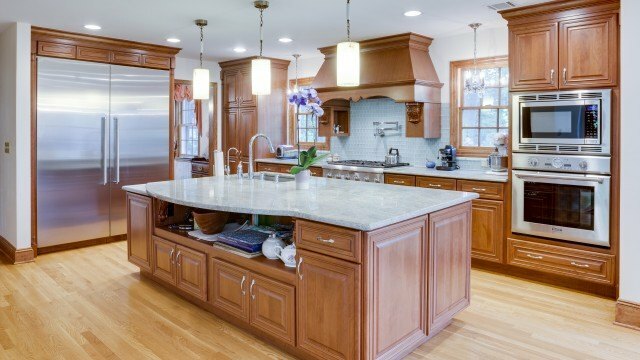 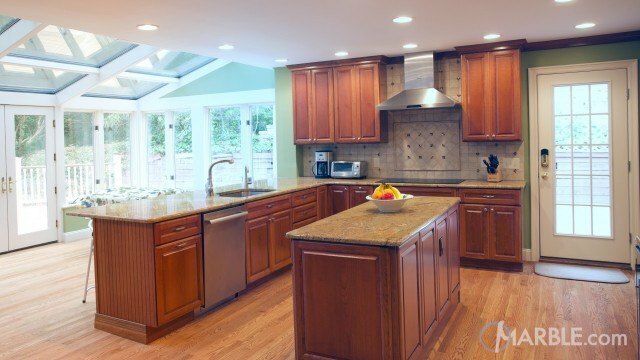 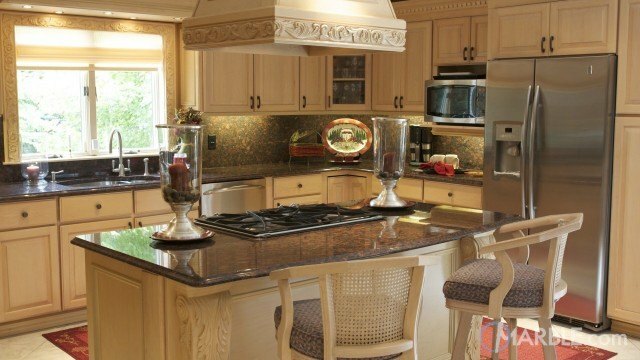 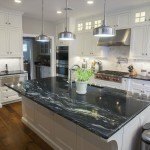 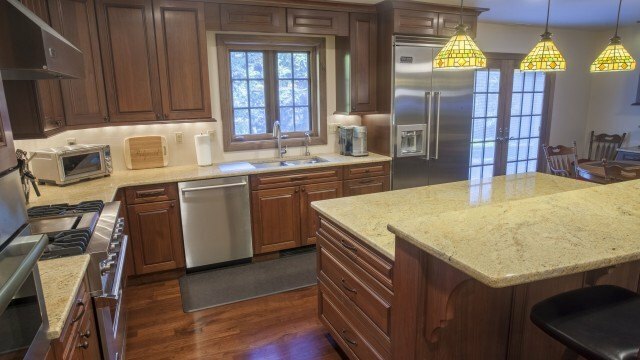 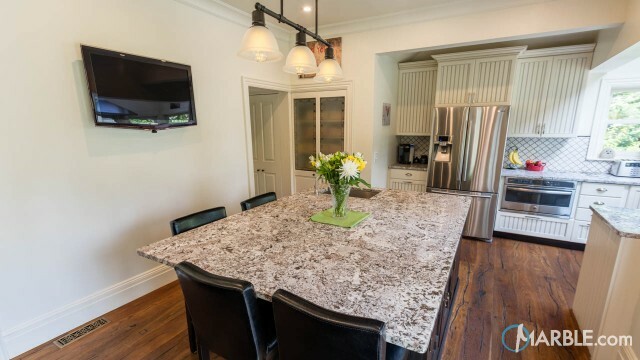 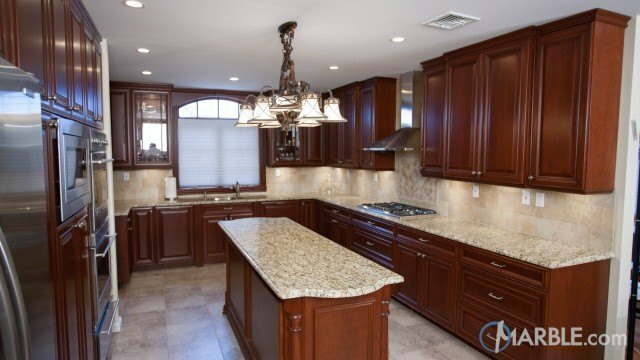 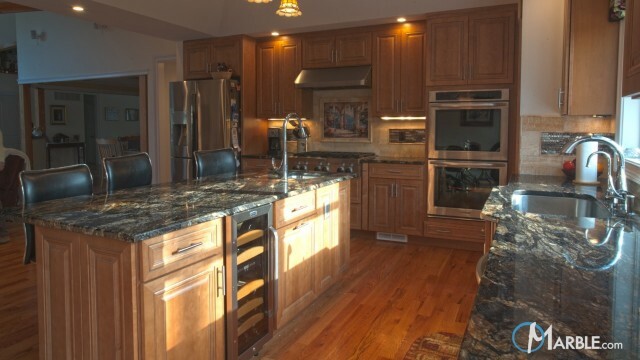 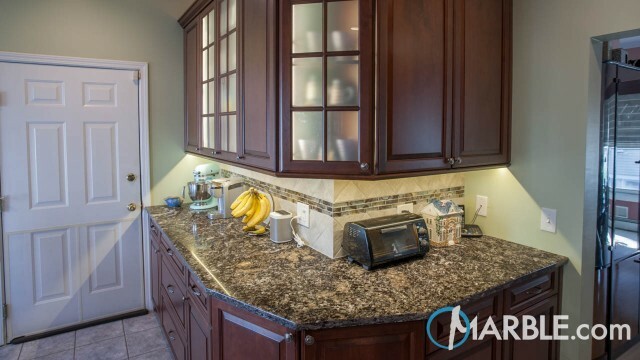 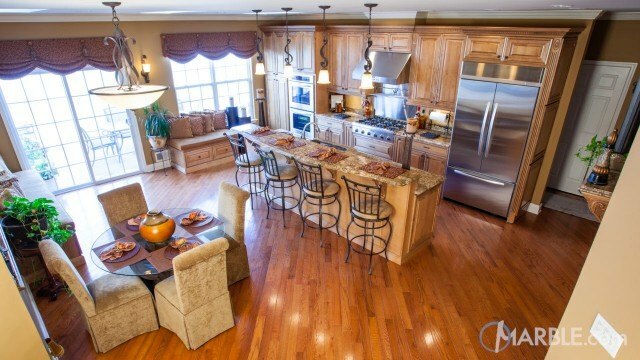 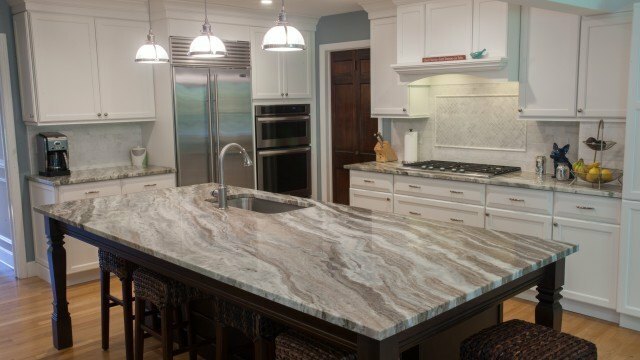 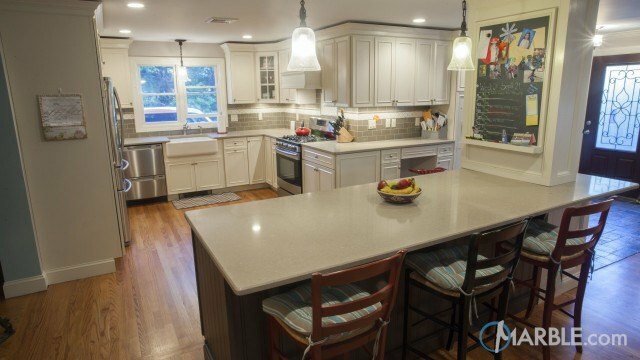 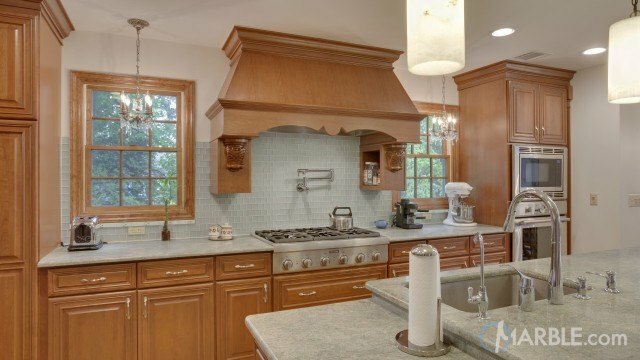 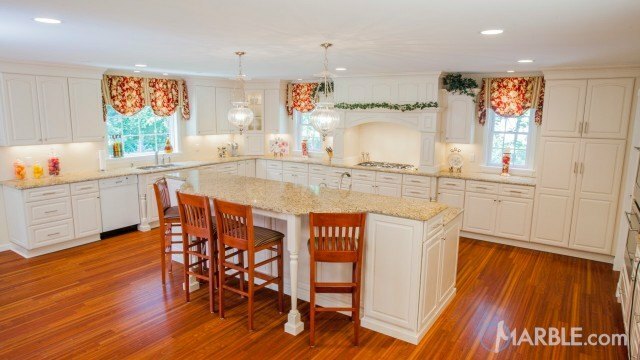 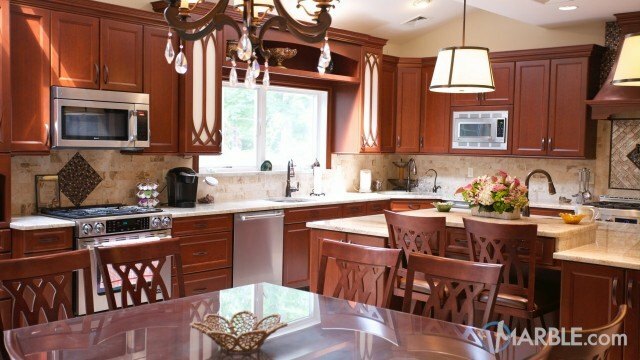 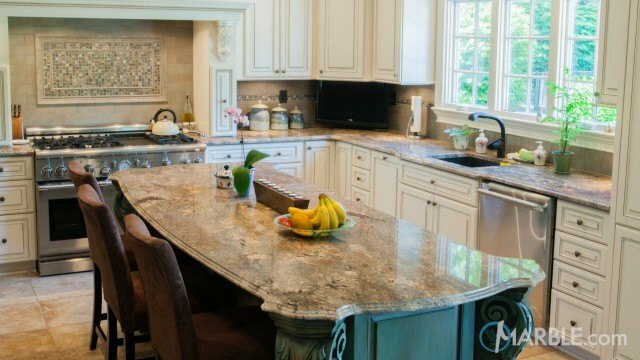 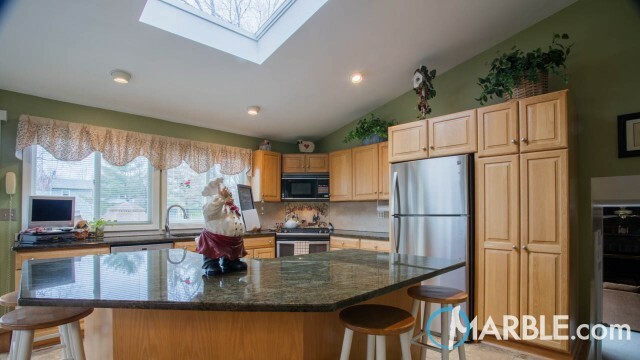 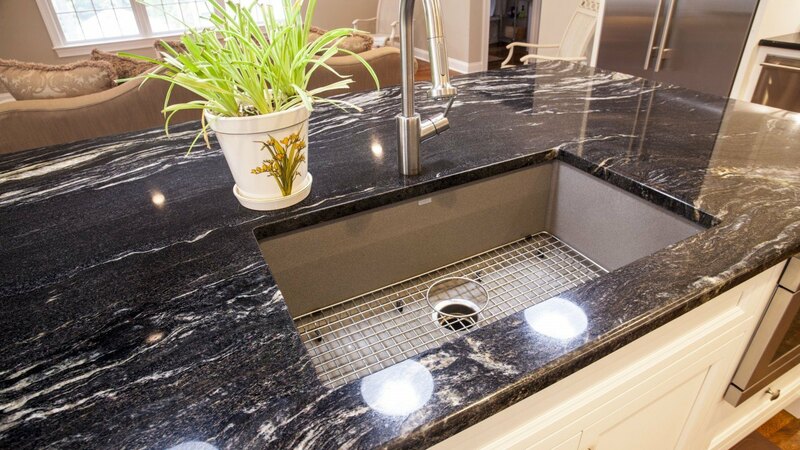 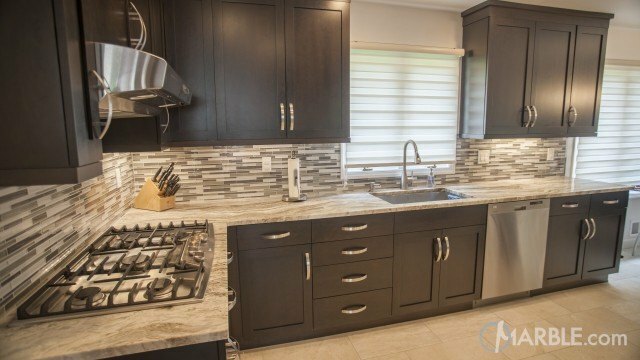 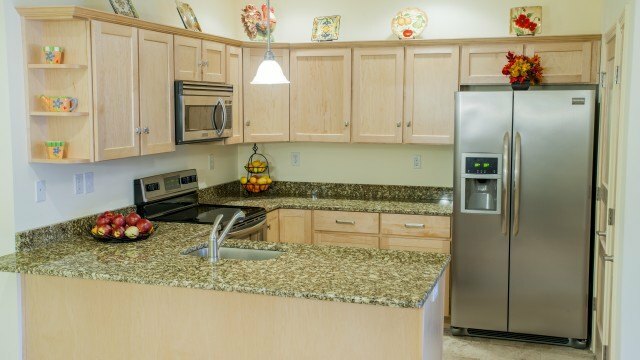 This open kitchen features two different granites that are very similar in colors but very different in patterns. 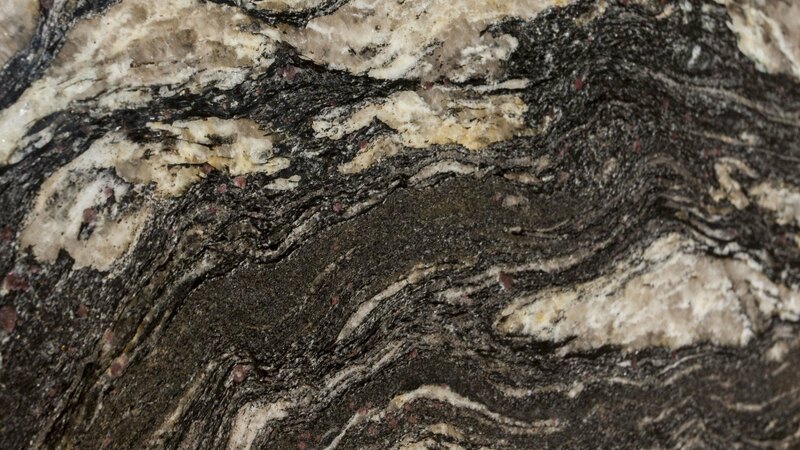 The Cosmic Black granite on the island has long white and gold veins running the length of the stone, while the Black Galaxy granite on the perimeter is a solid black stone with white speckles. 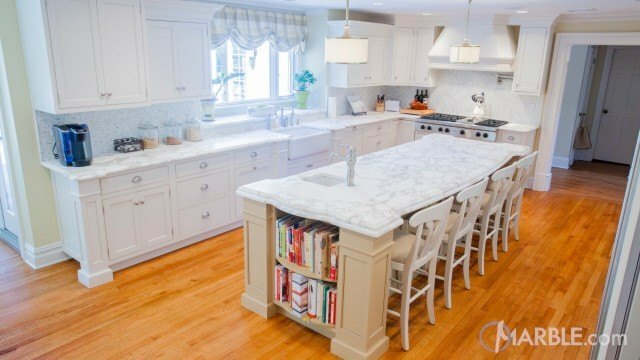 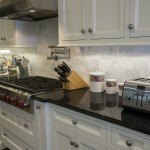 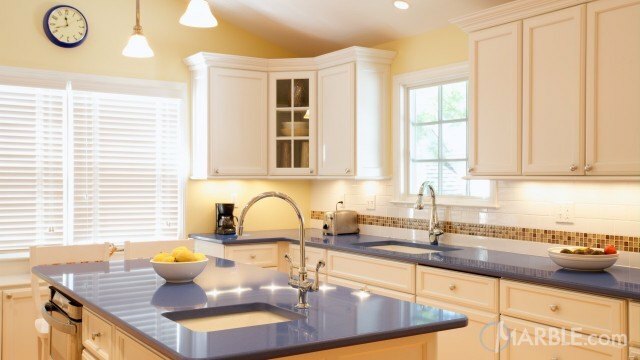 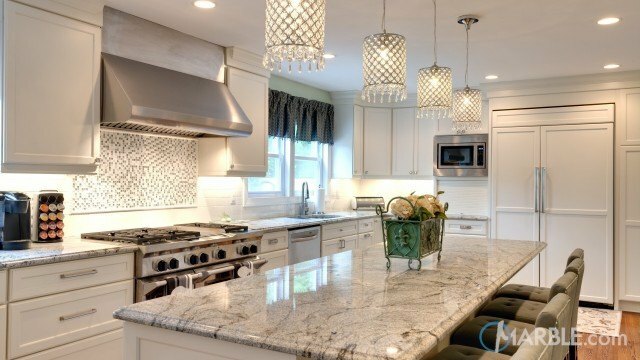 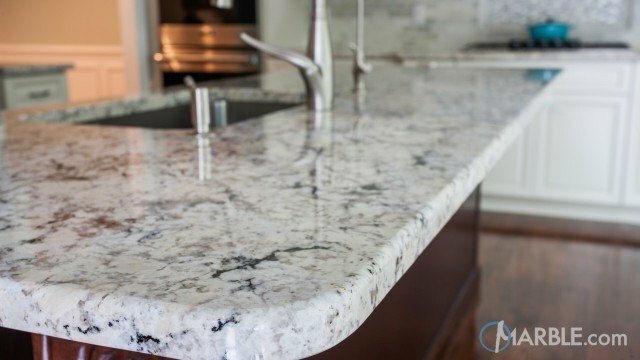 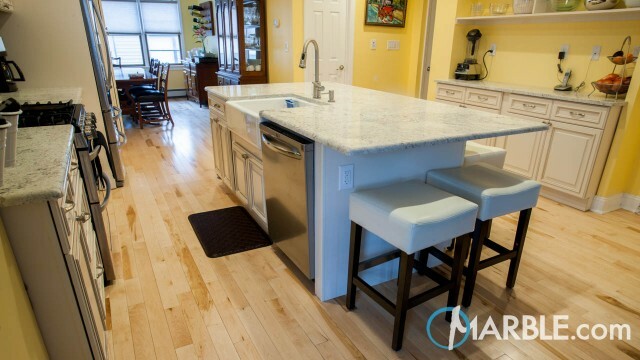 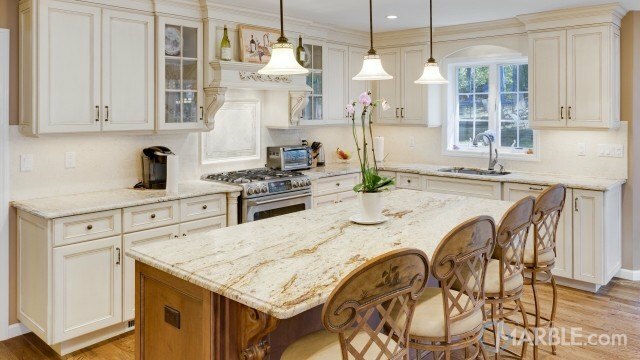 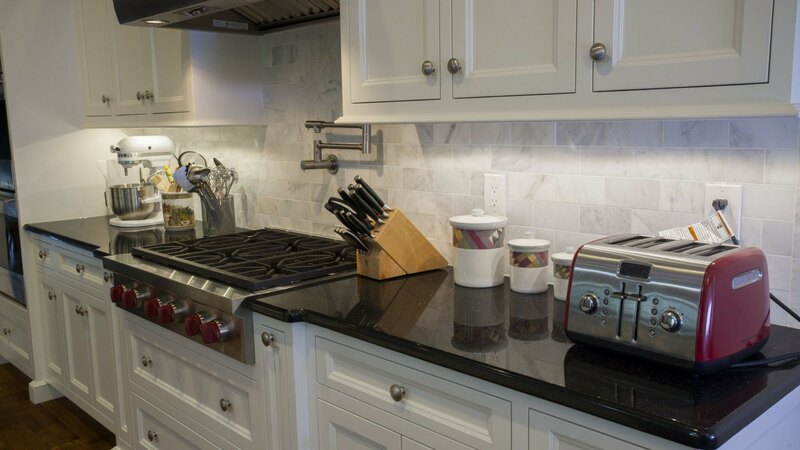 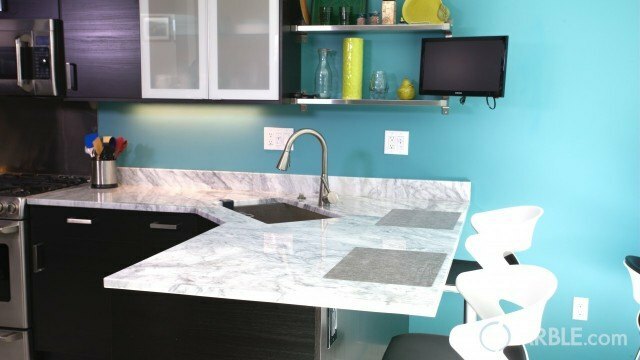 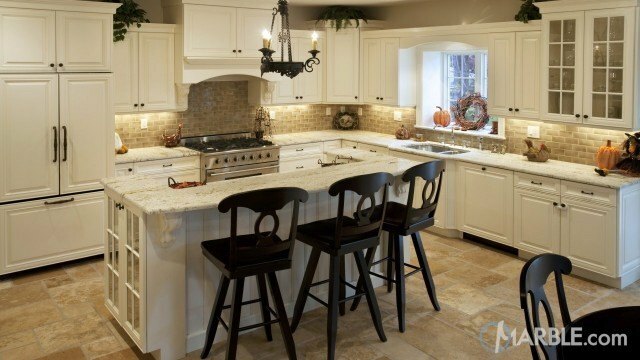 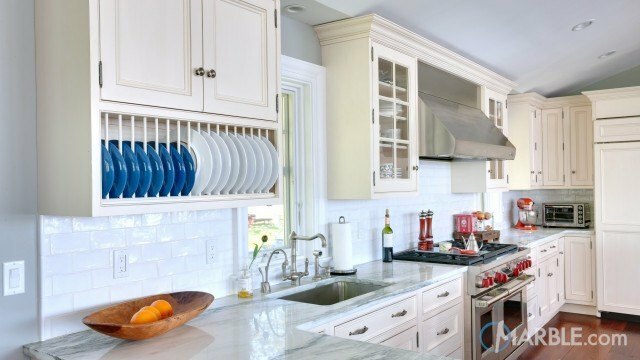 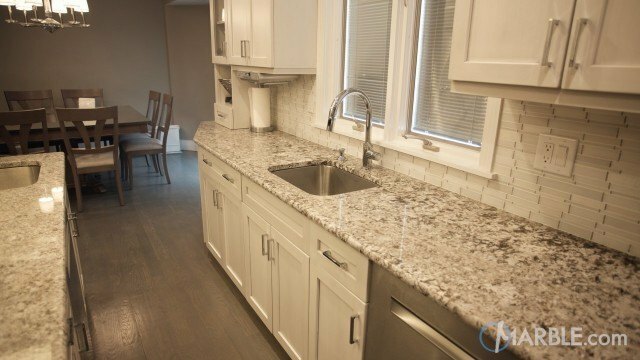 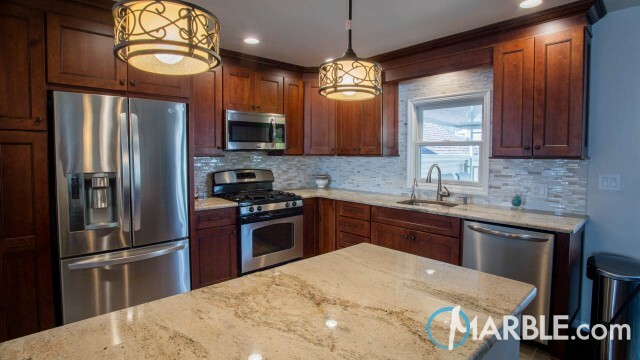 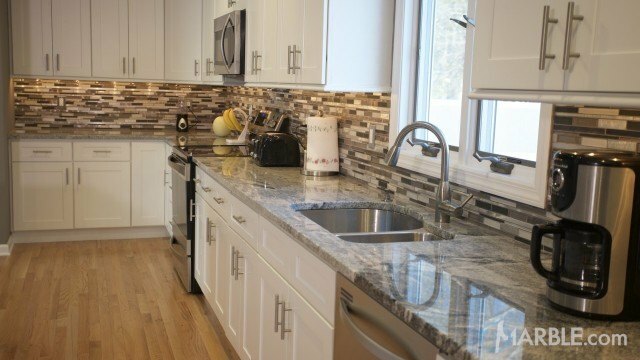 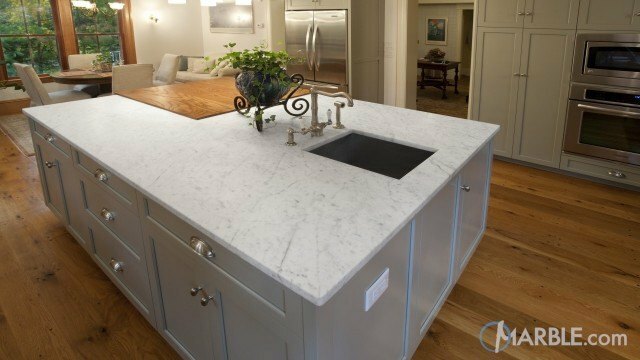 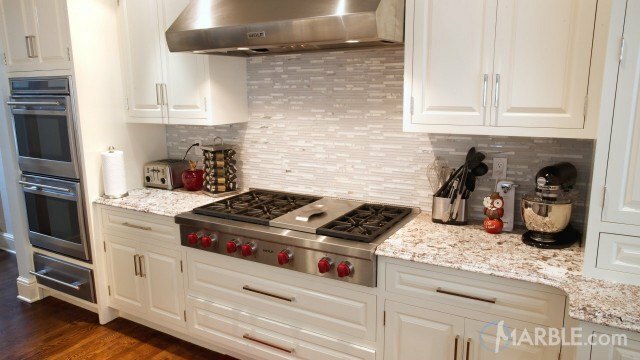 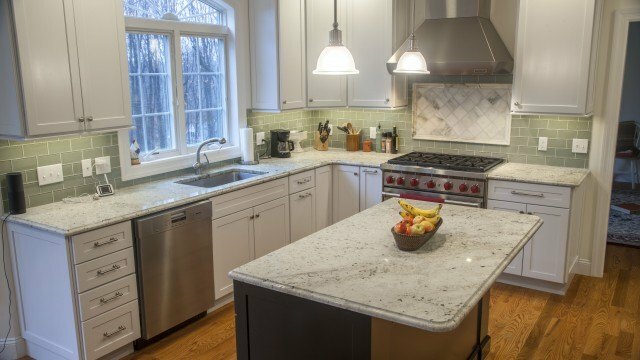 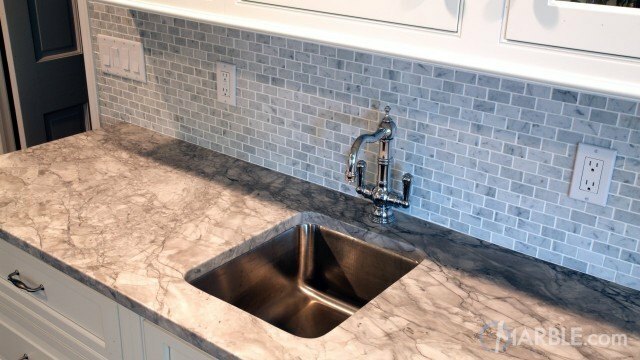 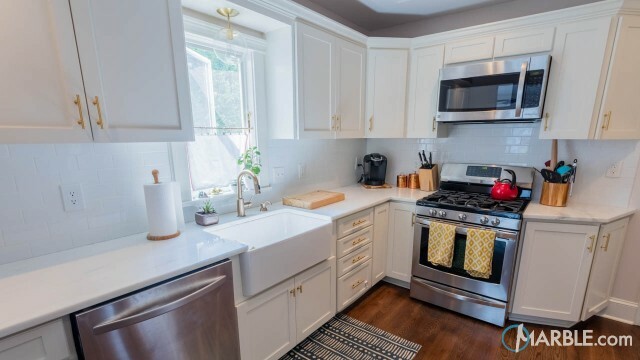 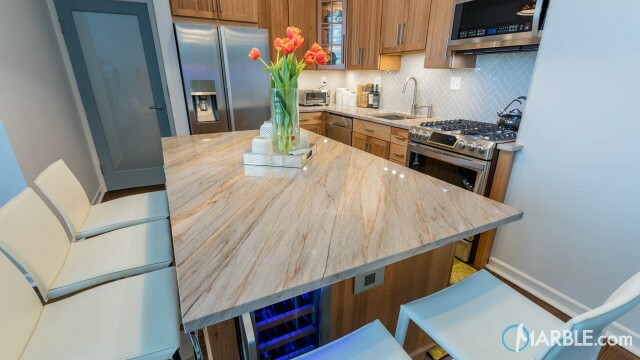 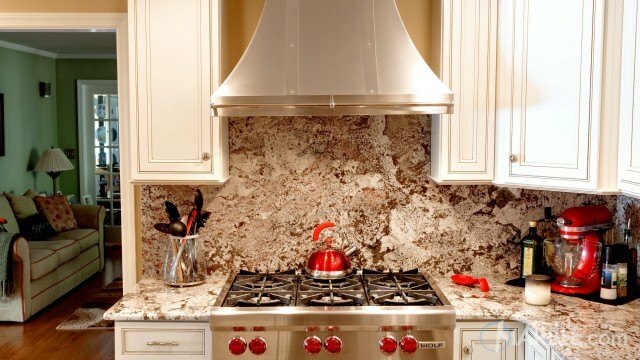 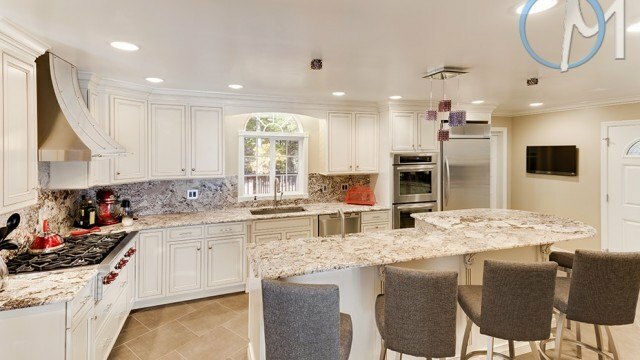 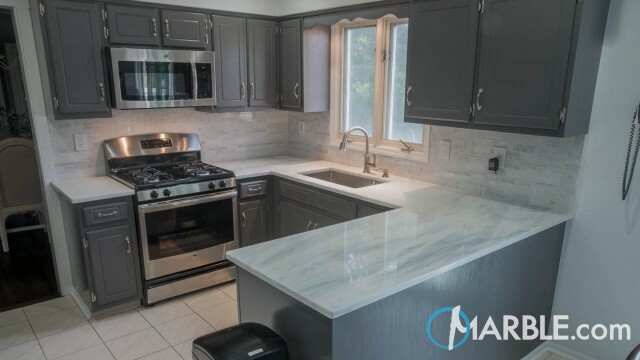 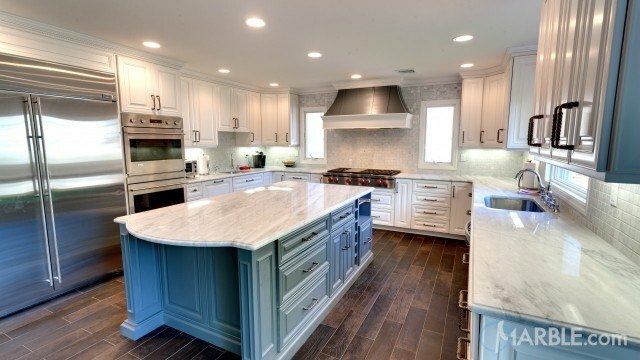 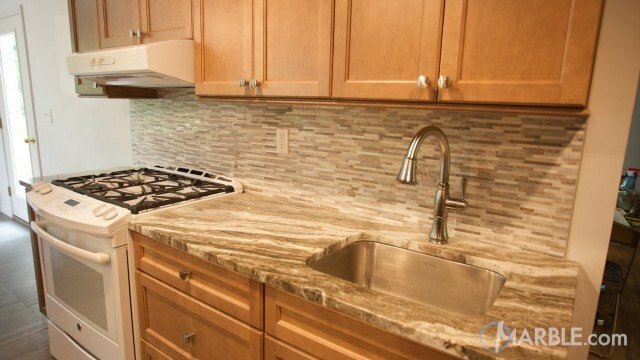 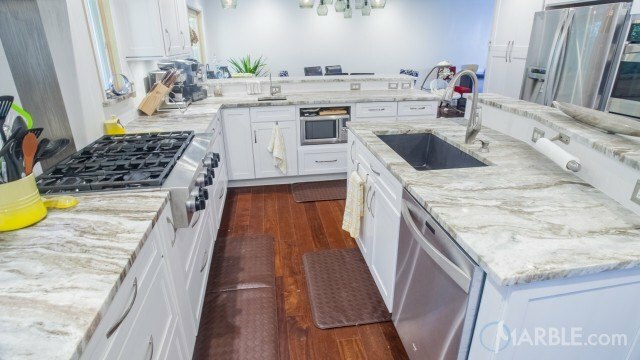 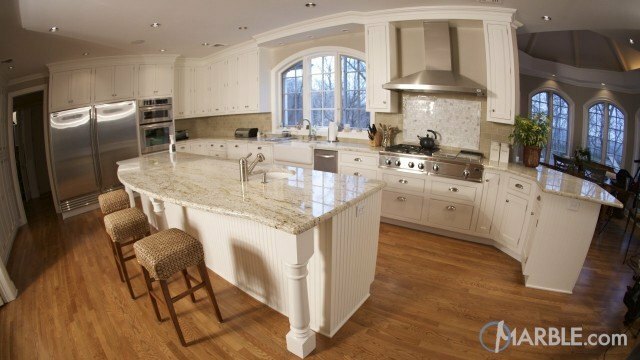 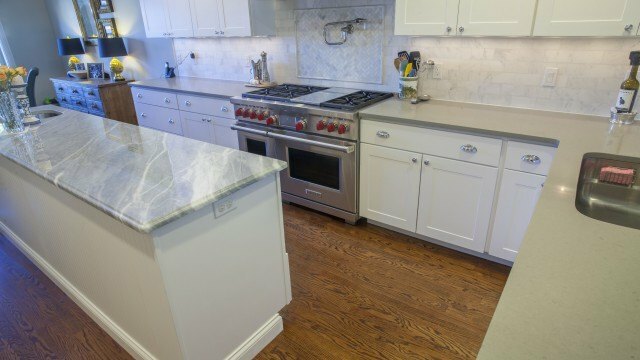 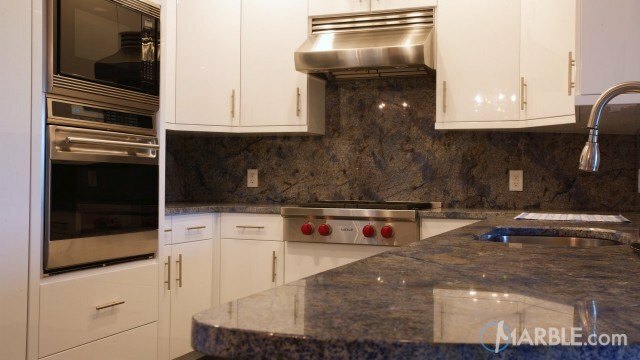 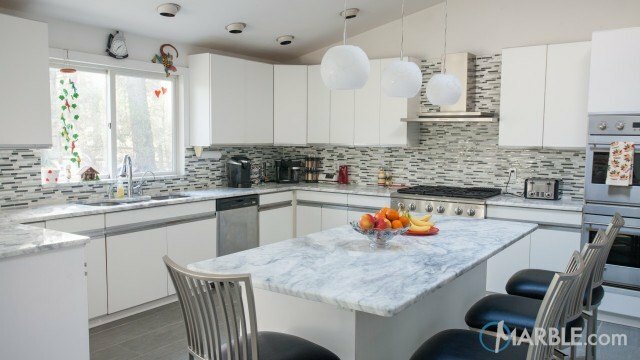 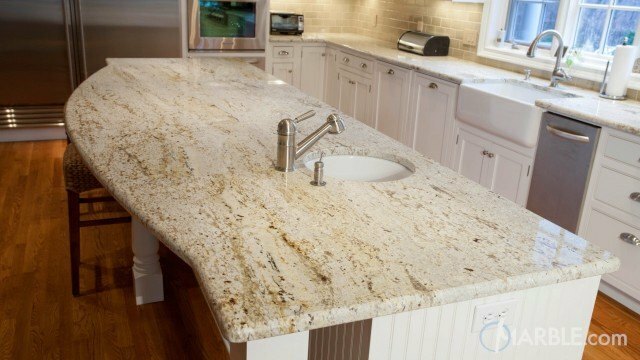 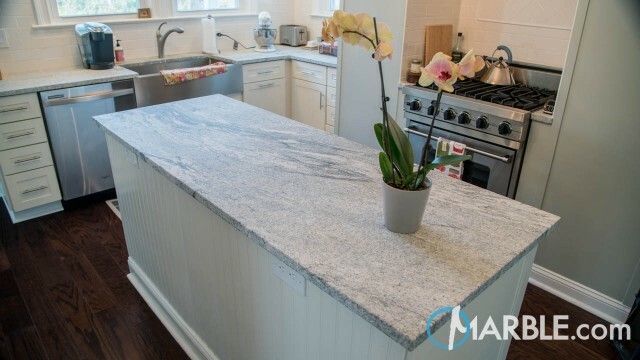 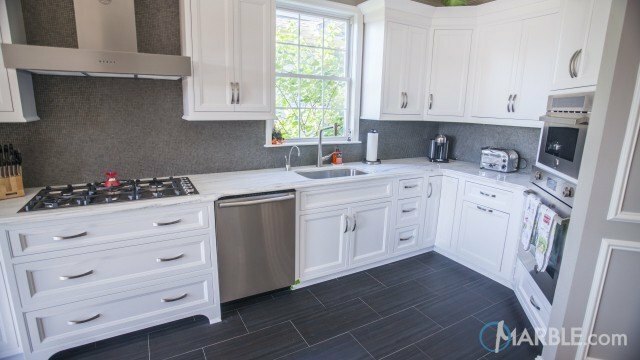 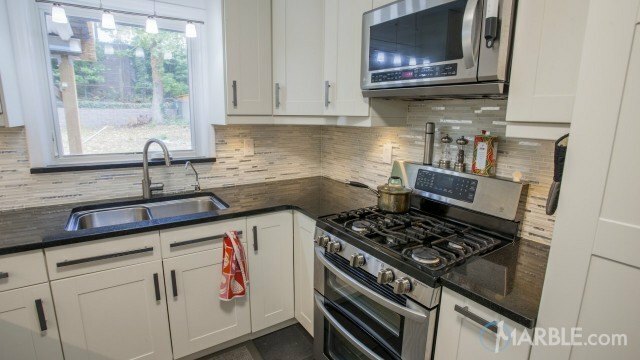 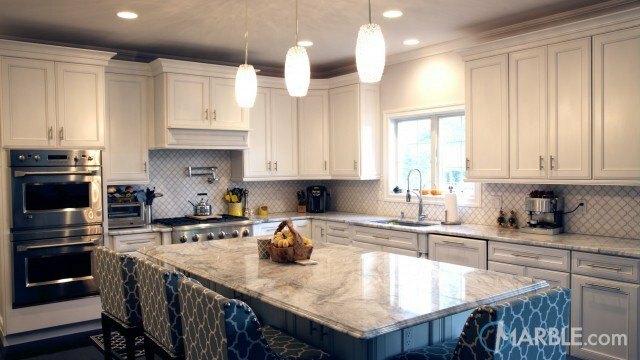 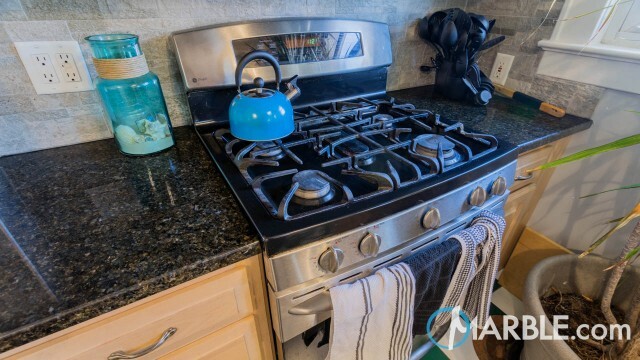 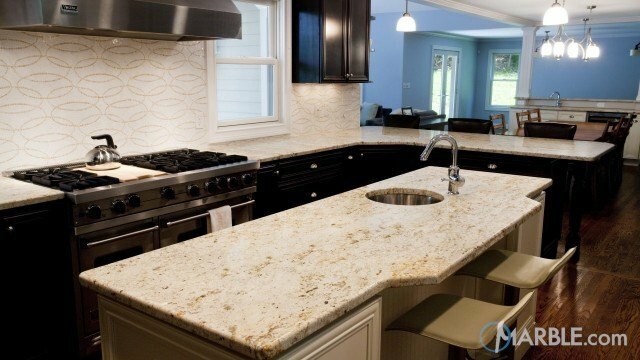 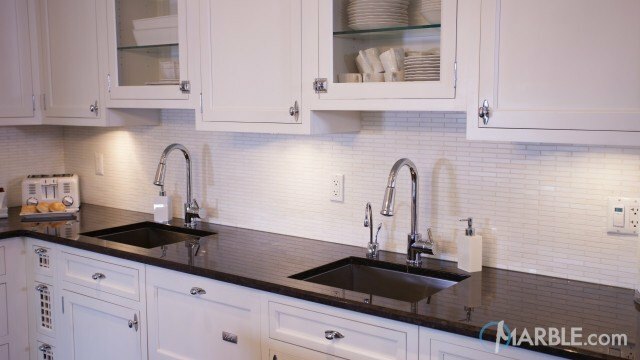 The white marble back splash combined with the white cabinets make for a great match to both of these granites.